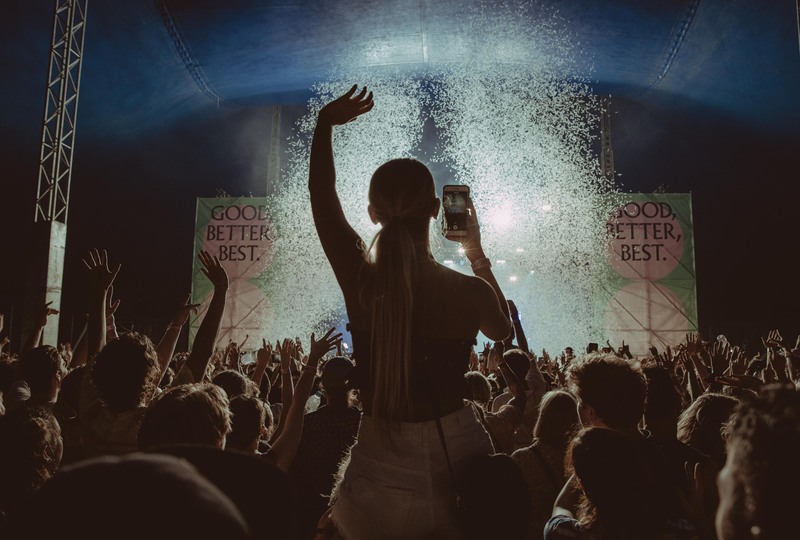 It could have been a very wet day at Laneway Brisbane, however the rain held off and left the largely outdoor venue to the revellers. 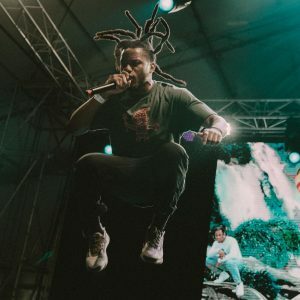 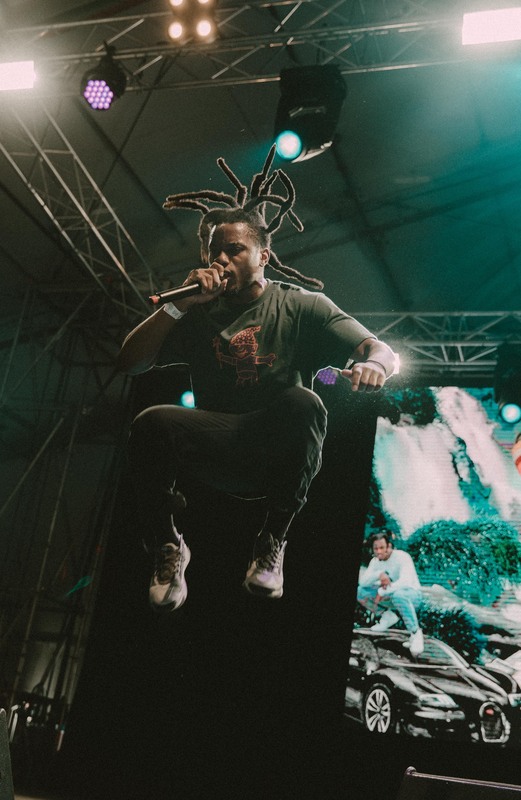 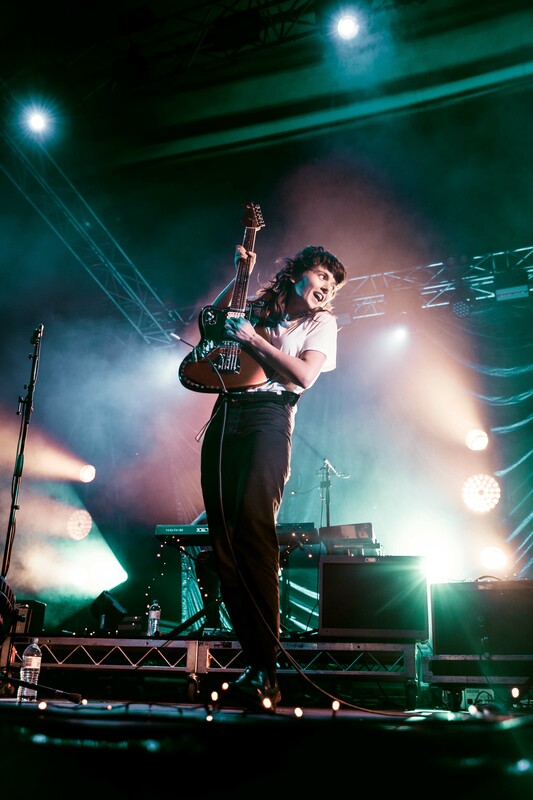 Here, at the Brisbane Showgrounds, thousands held tickets to celebrate performances from some of the best and most relevant artists Australia has to offer. 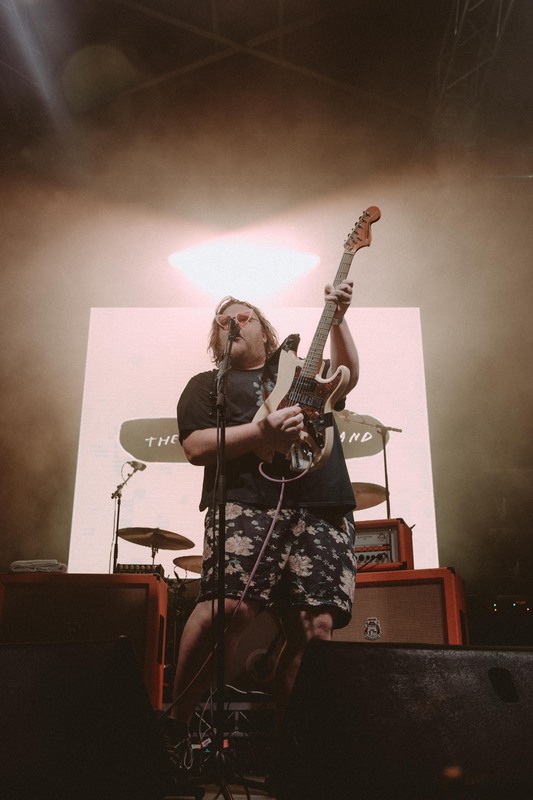 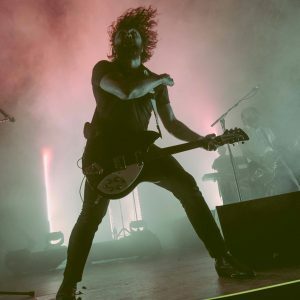 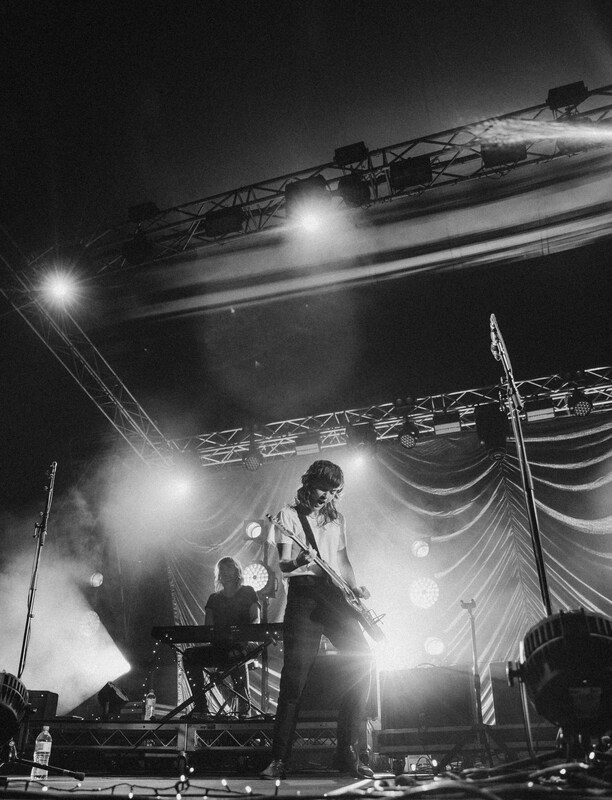 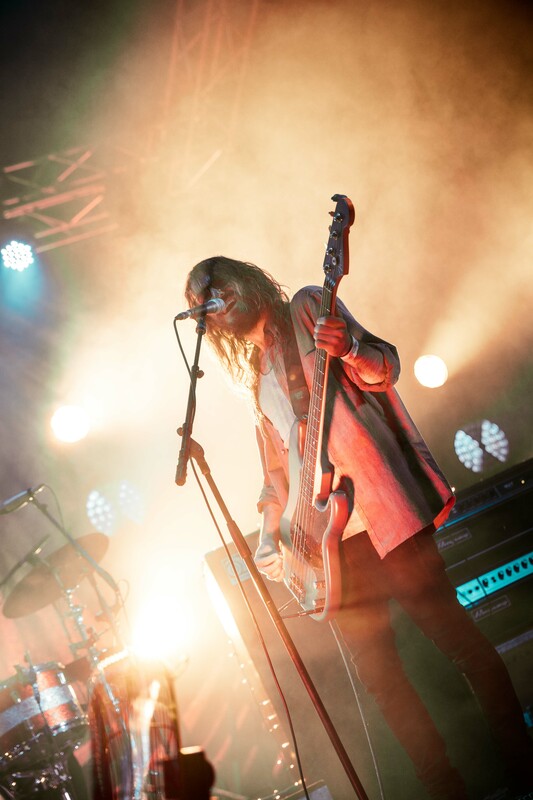 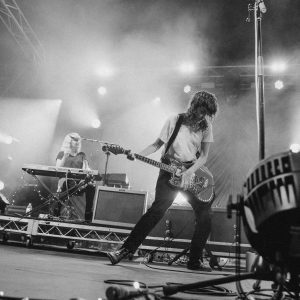 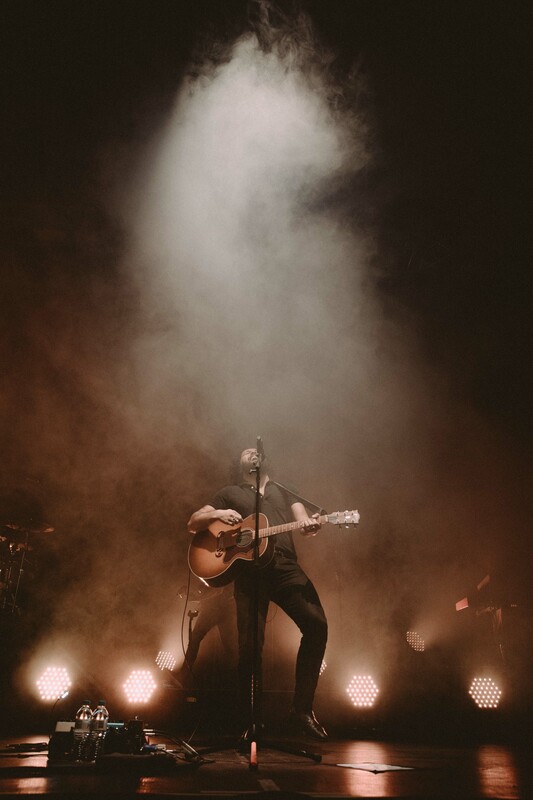 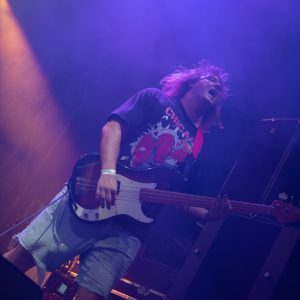 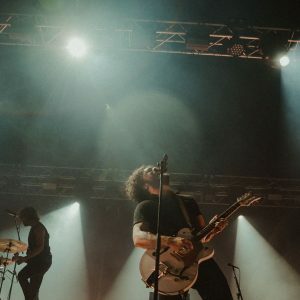 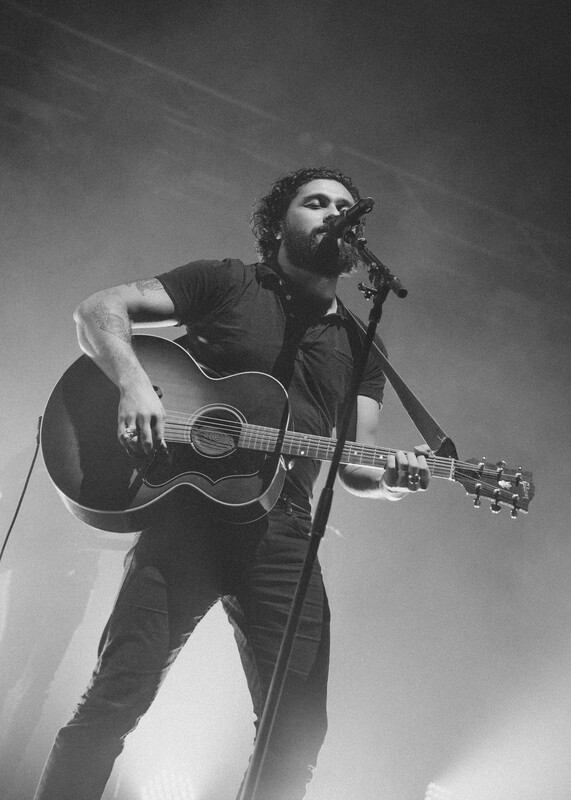 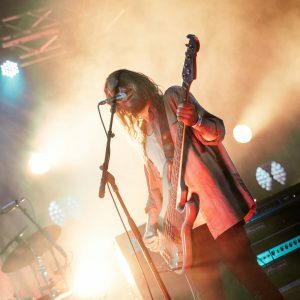 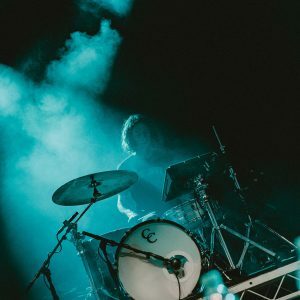 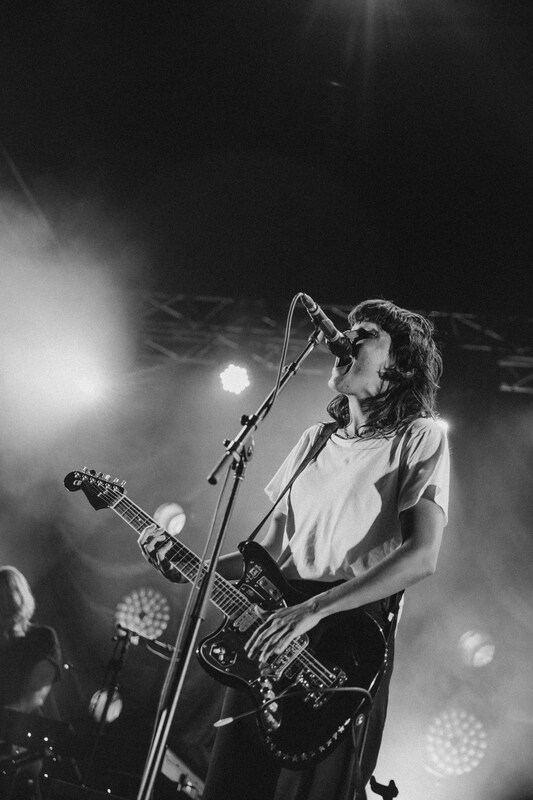 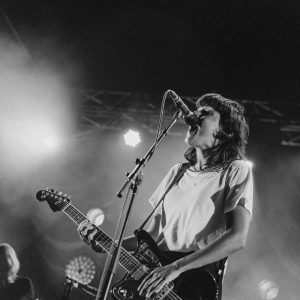 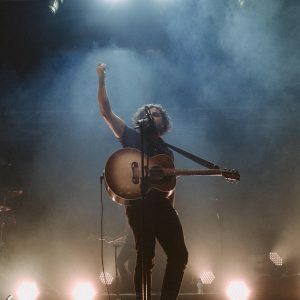 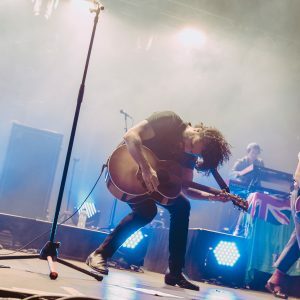 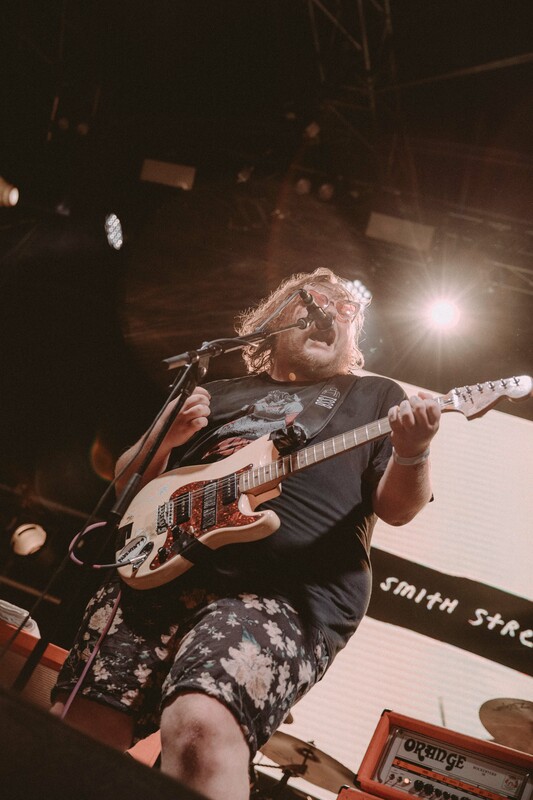 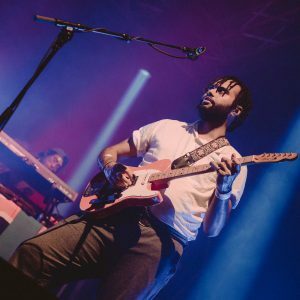 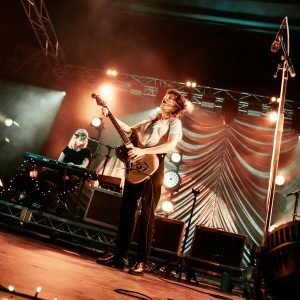 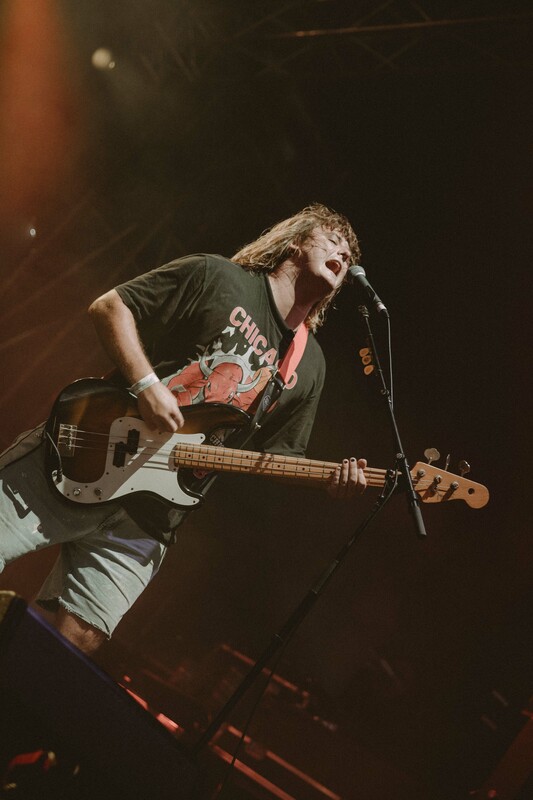 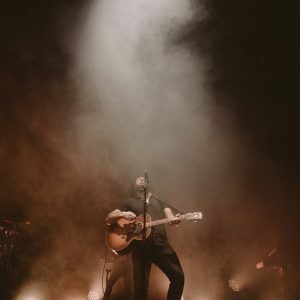 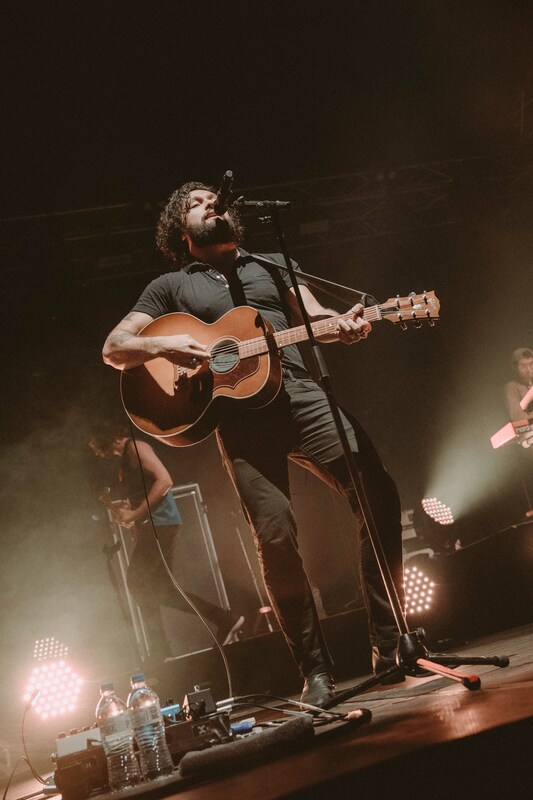 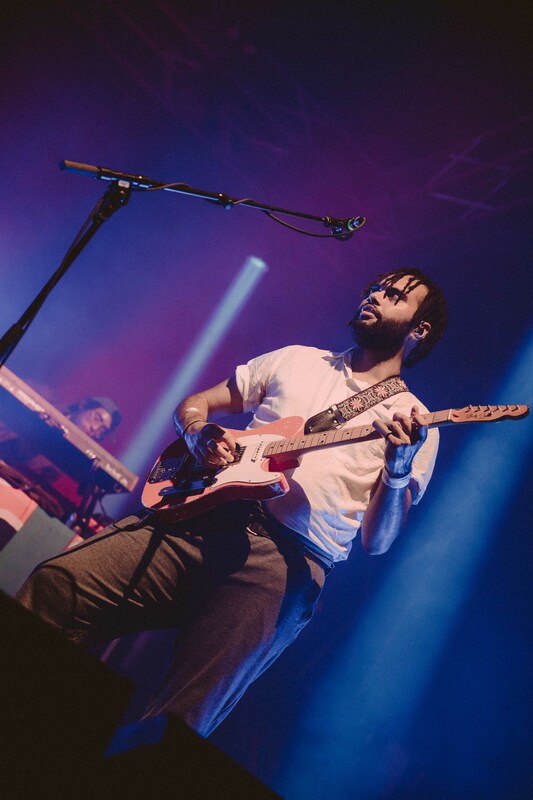 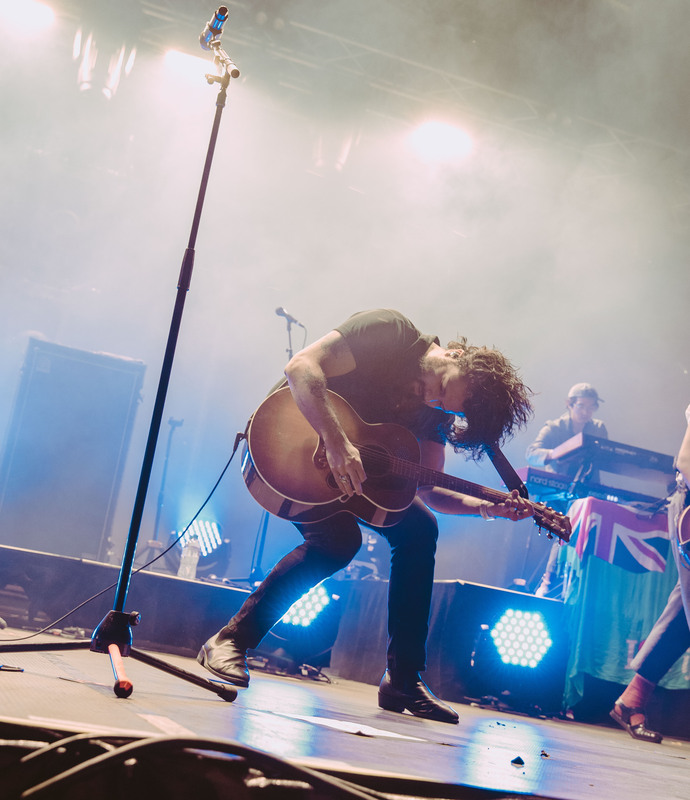 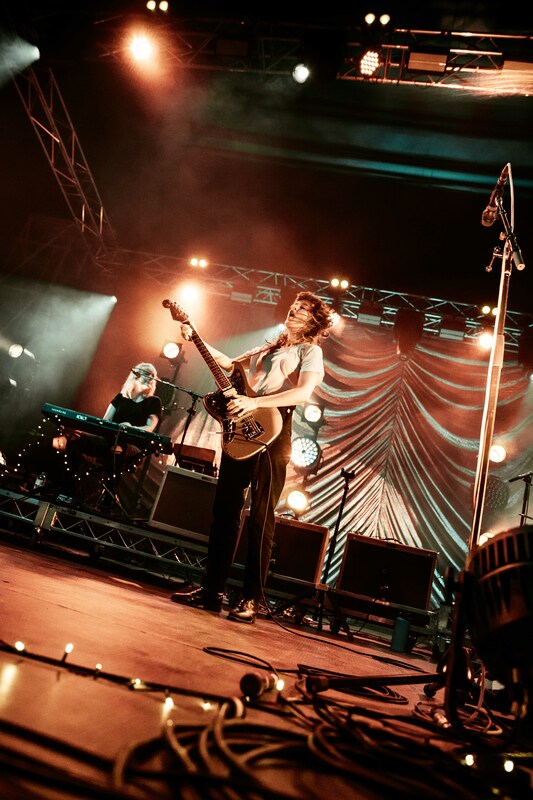 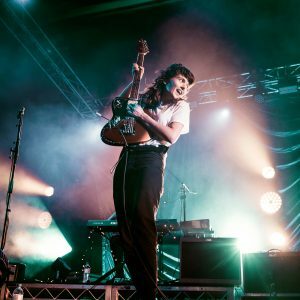 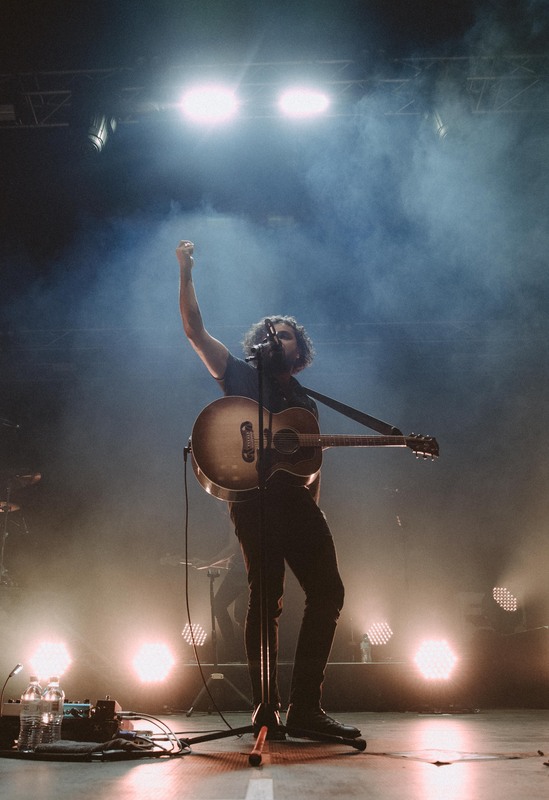 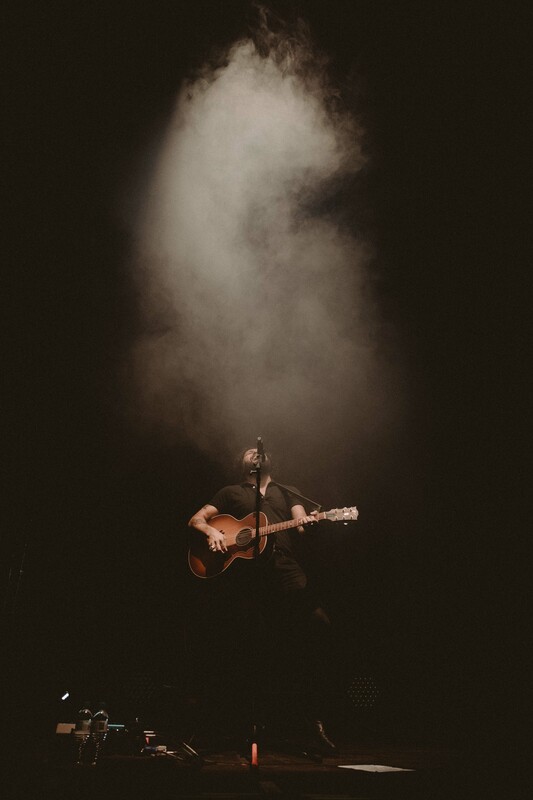 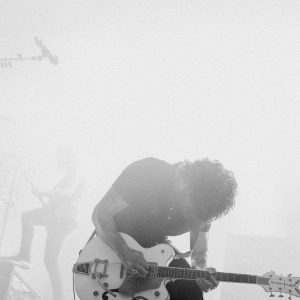 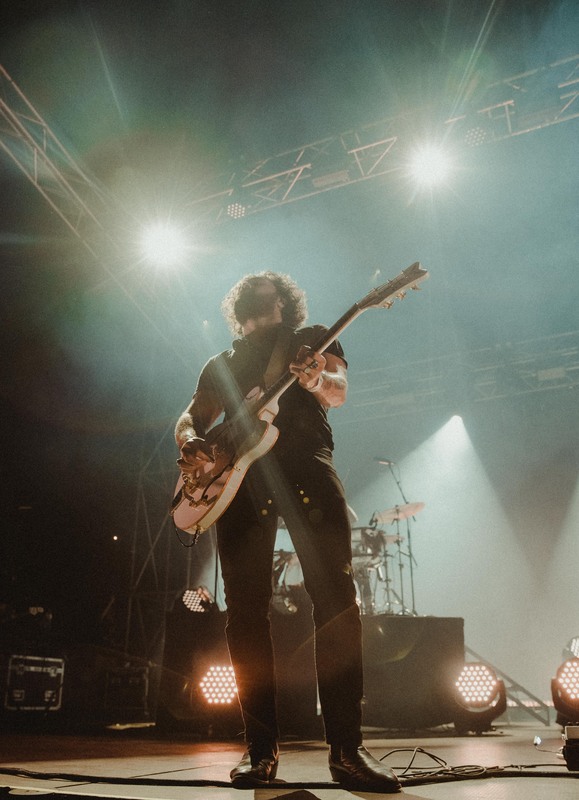 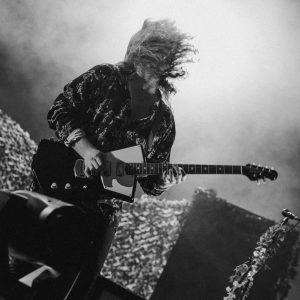 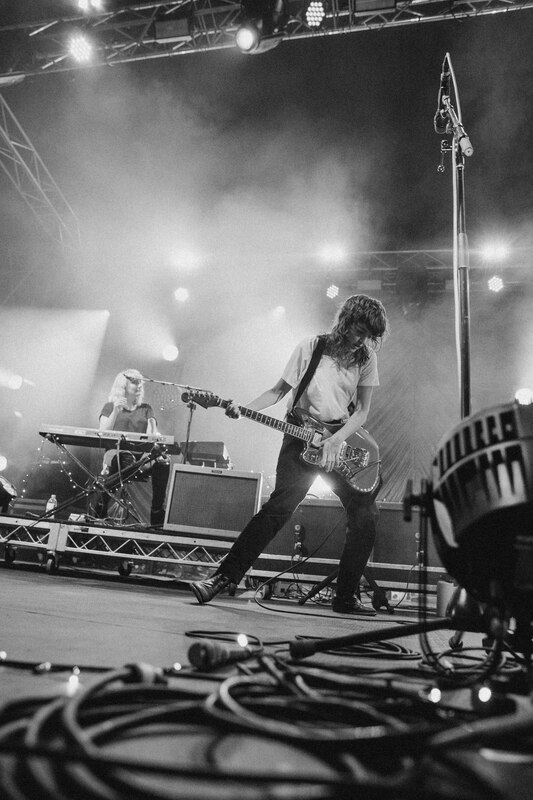 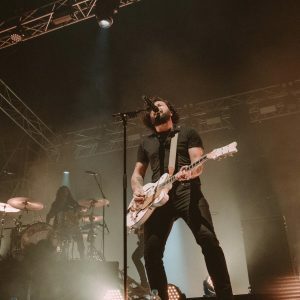 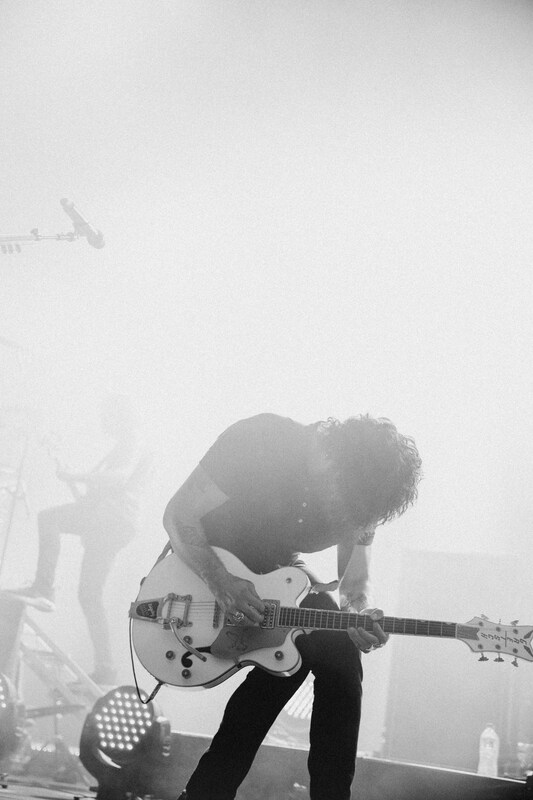 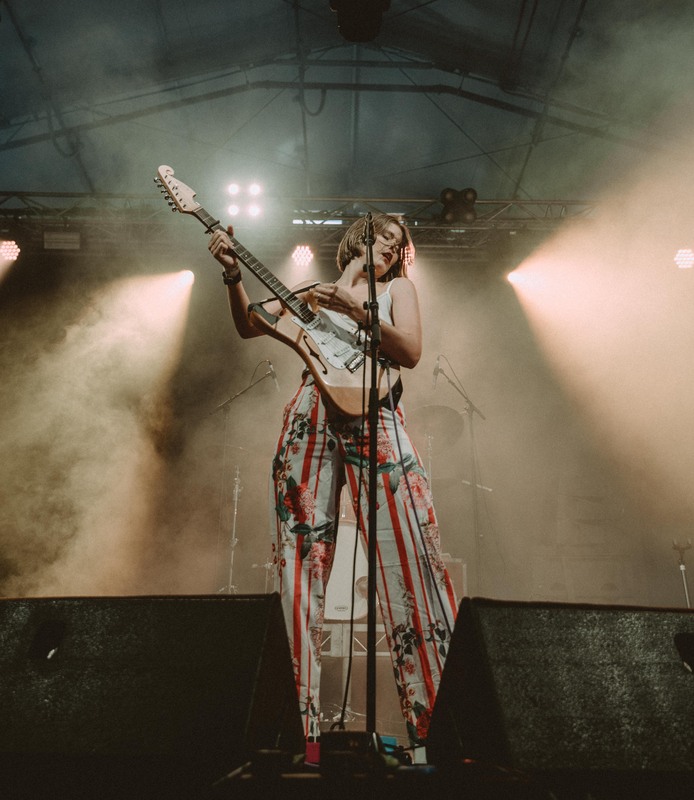 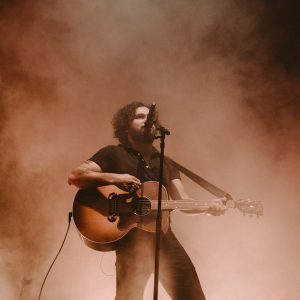 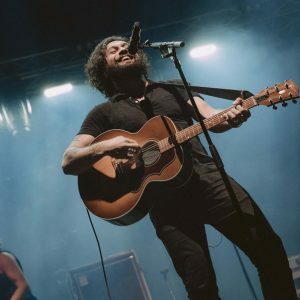 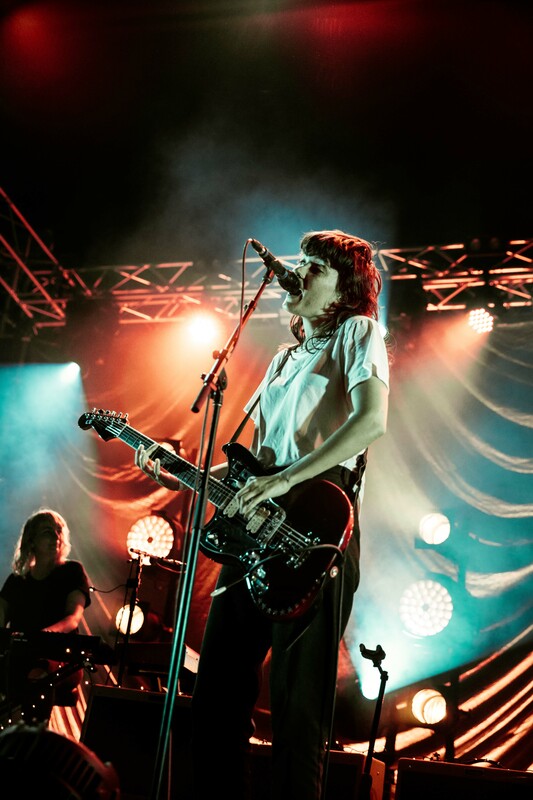 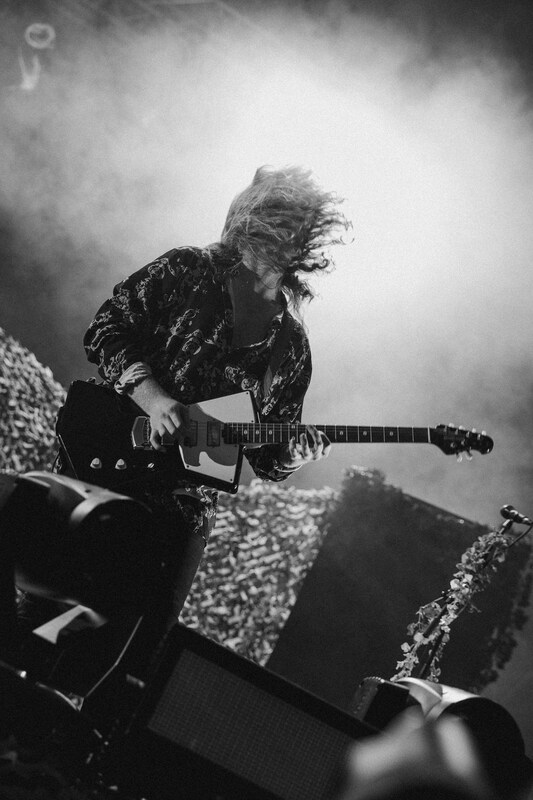 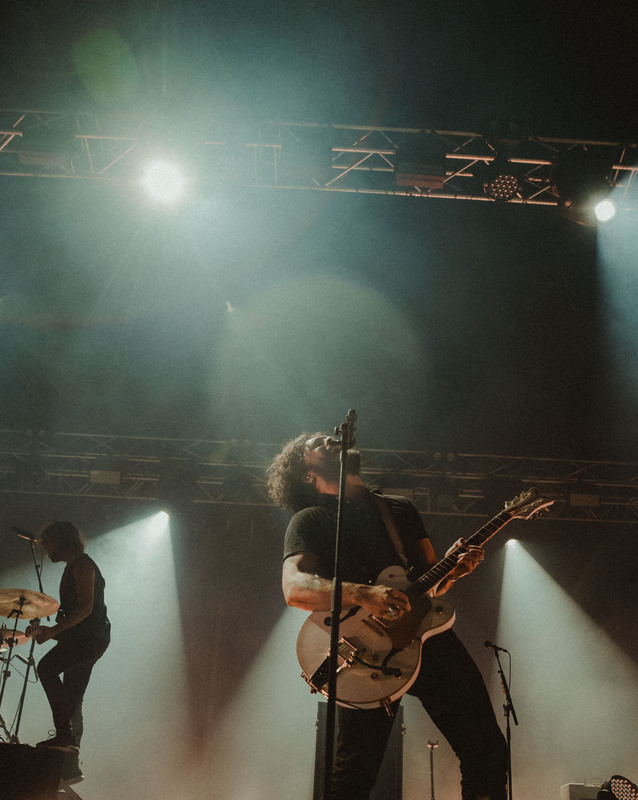 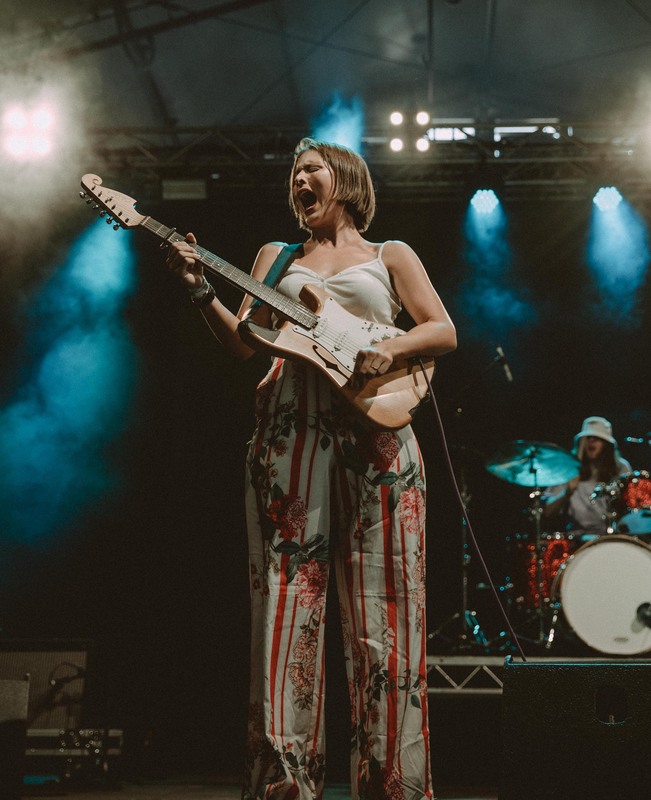 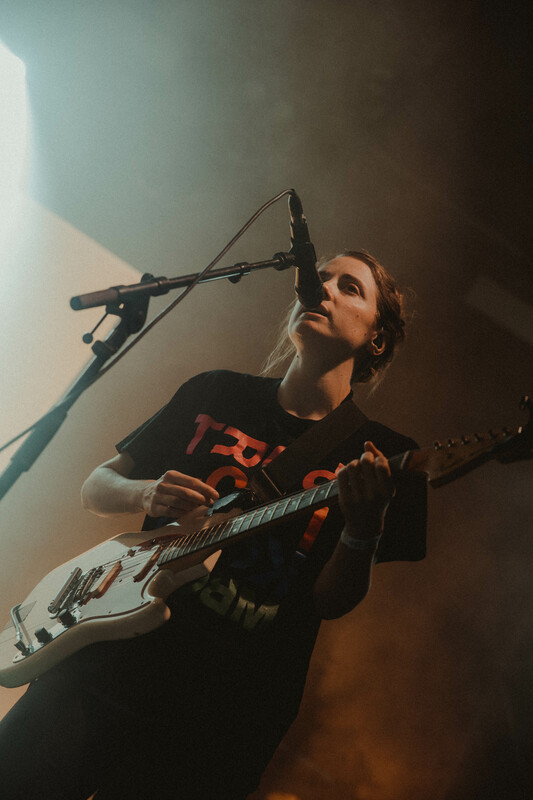 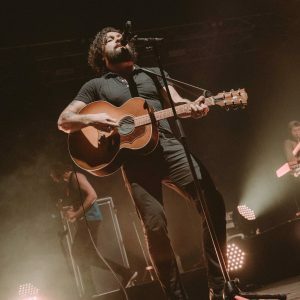 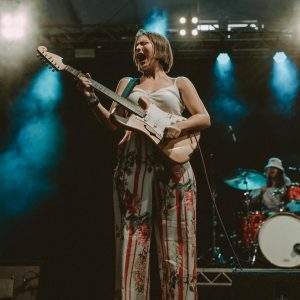 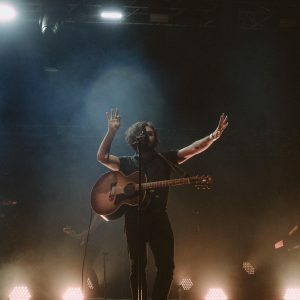 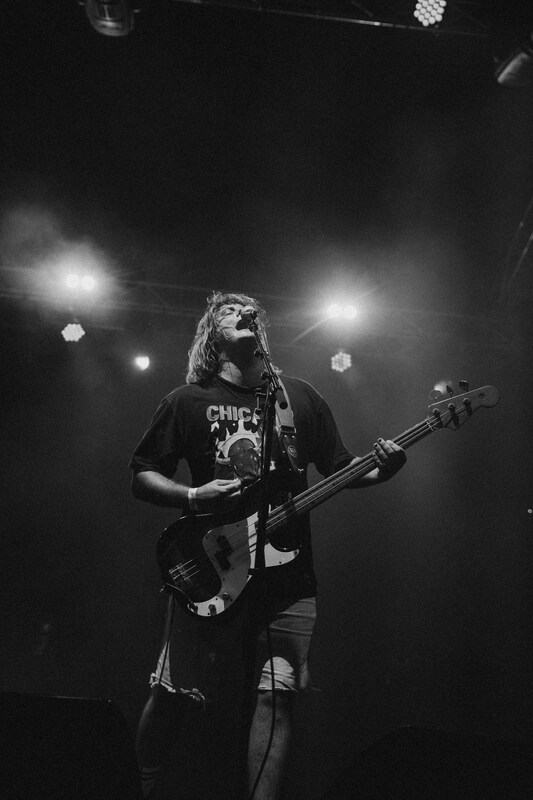 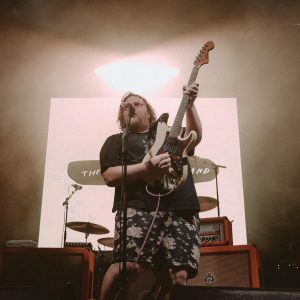 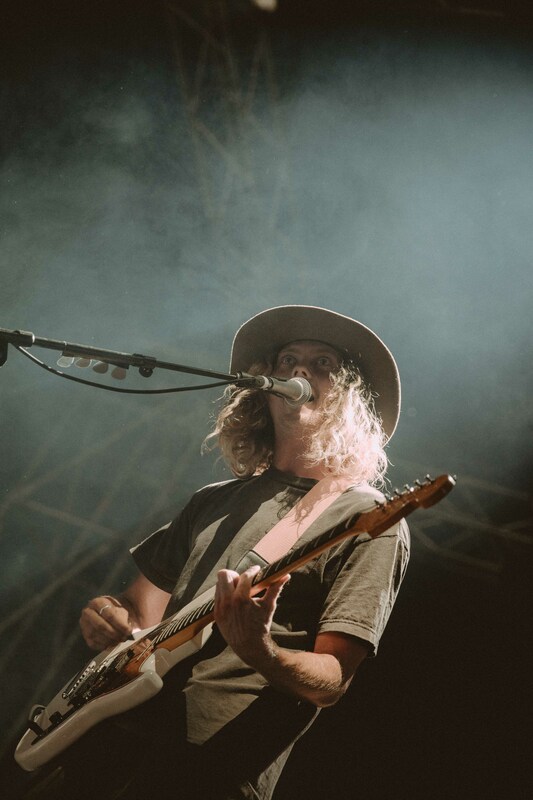 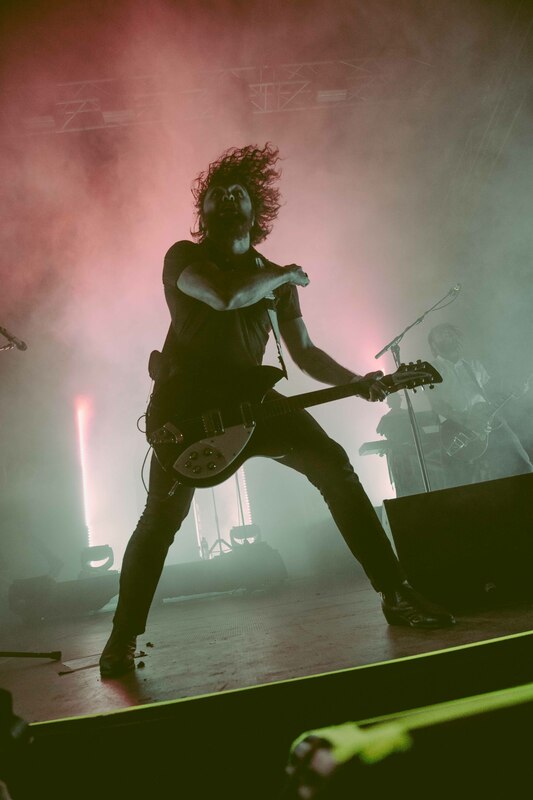 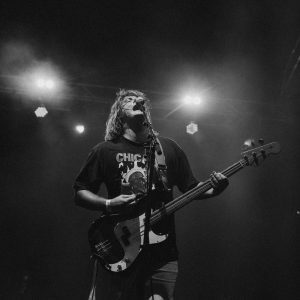 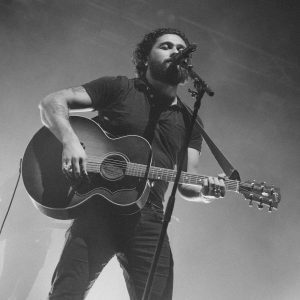 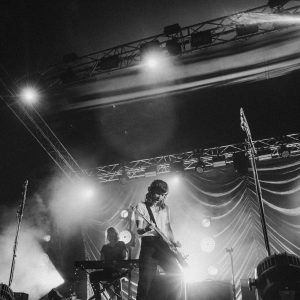 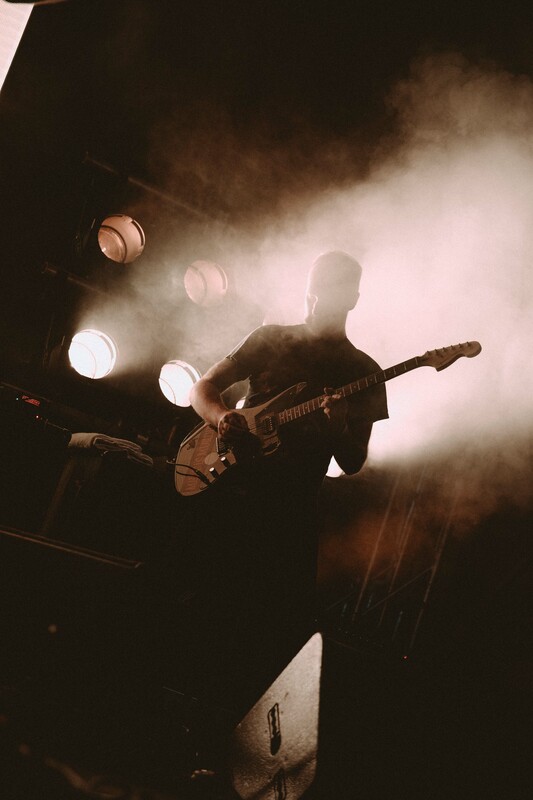 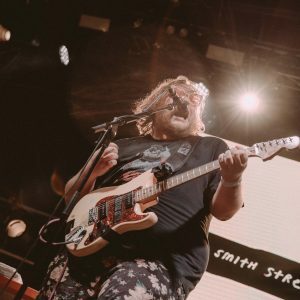 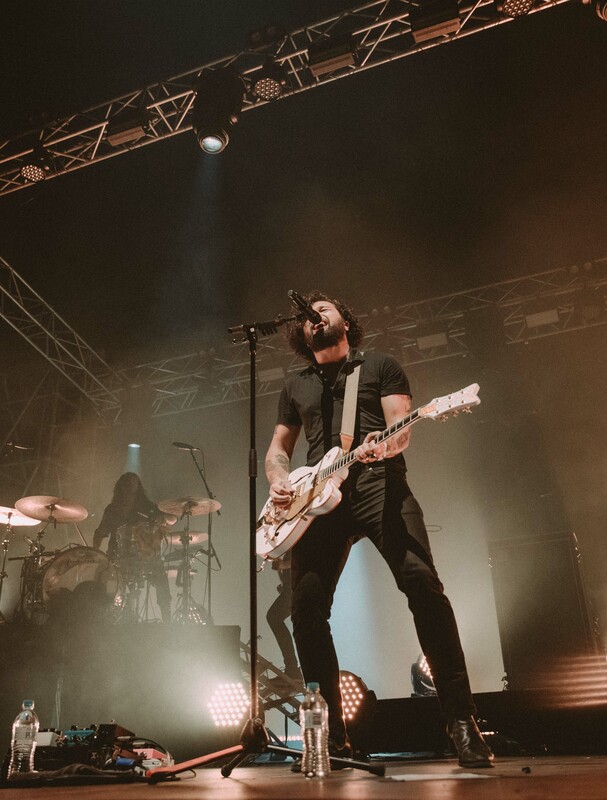 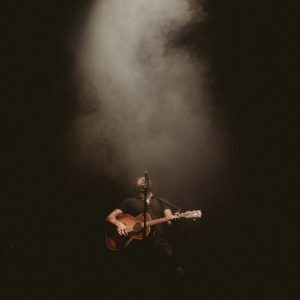 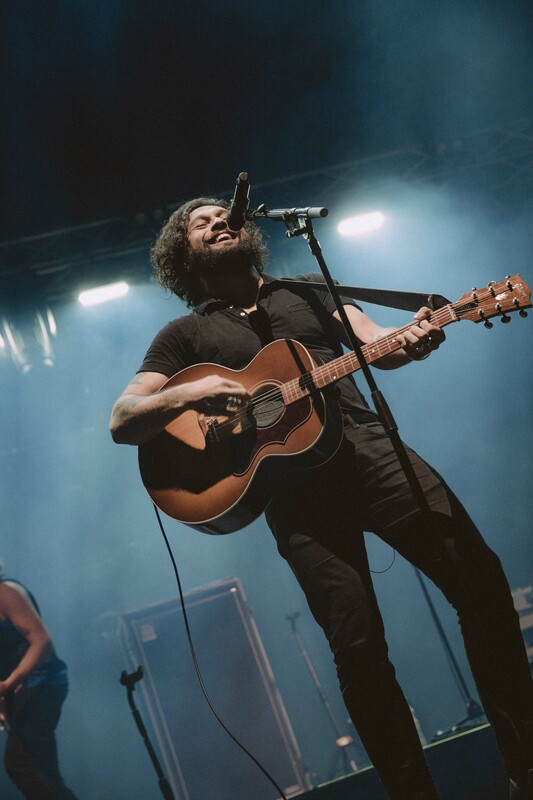 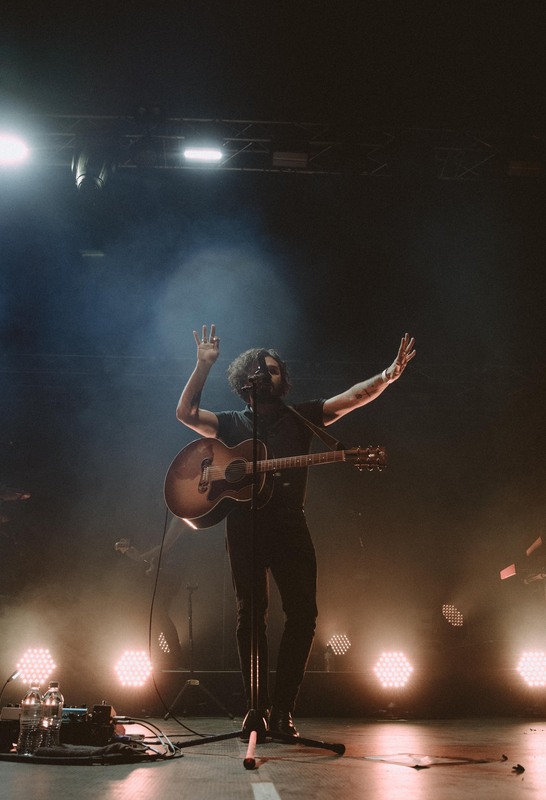 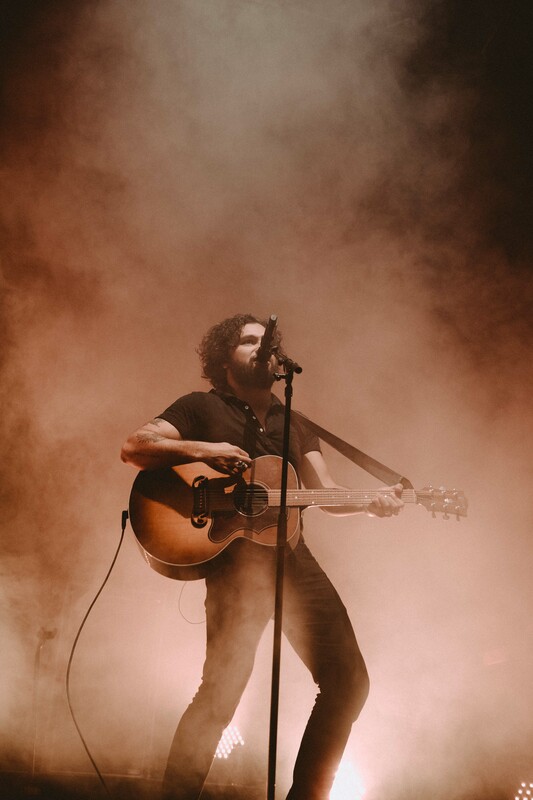 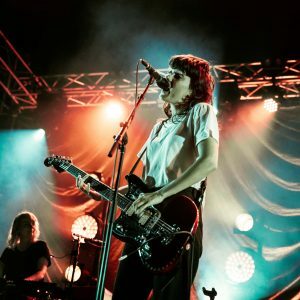 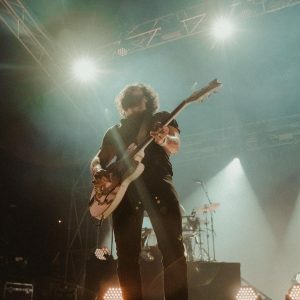 It was a testament to the demand for Australian musical talent with headliners including Courtney Barnett, Gang of Youths and What So Not. 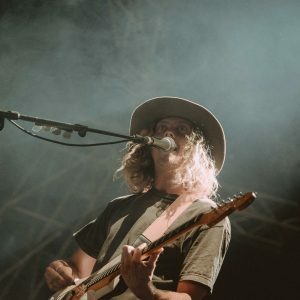 We arrived at 3.30pm knowing full well that we were in for a massive day of live music with a further 8 hours ahead of us. 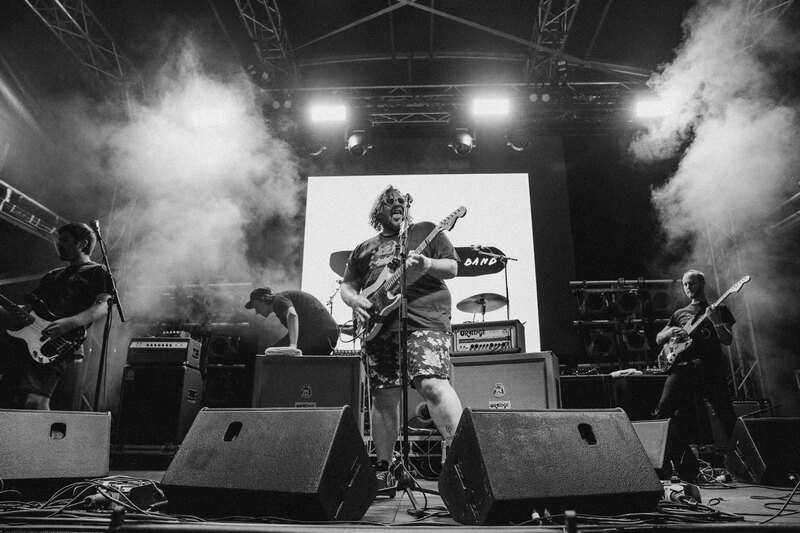 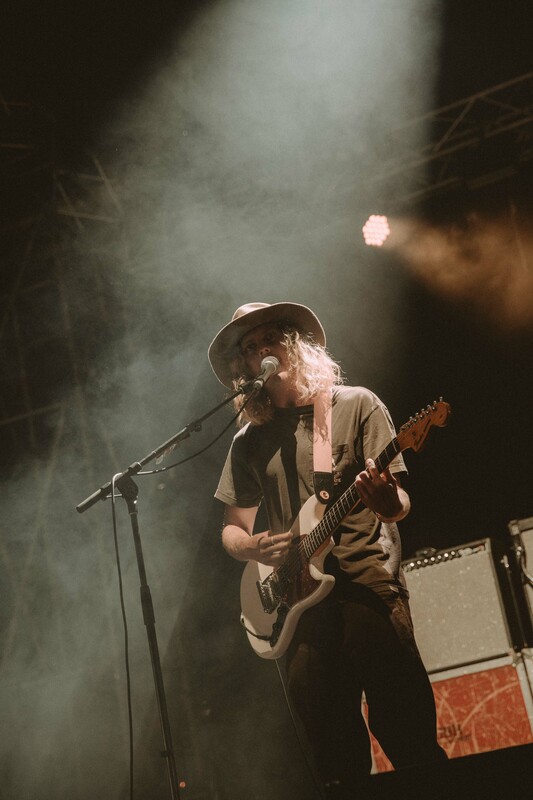 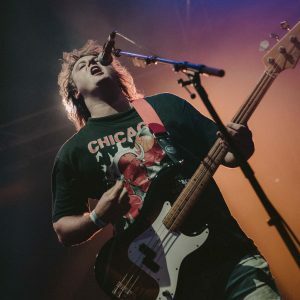 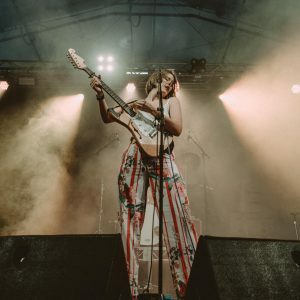 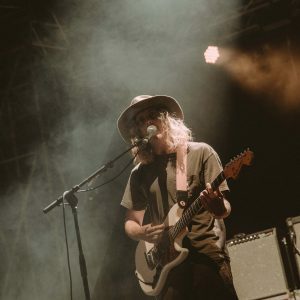 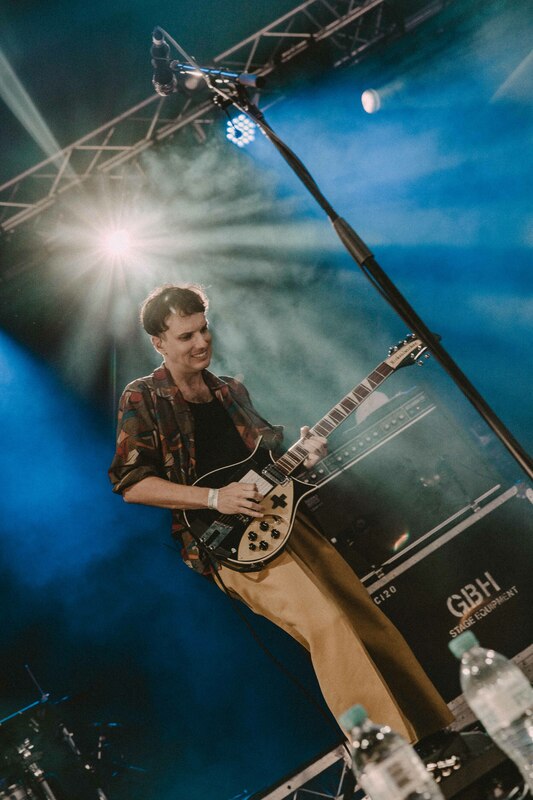 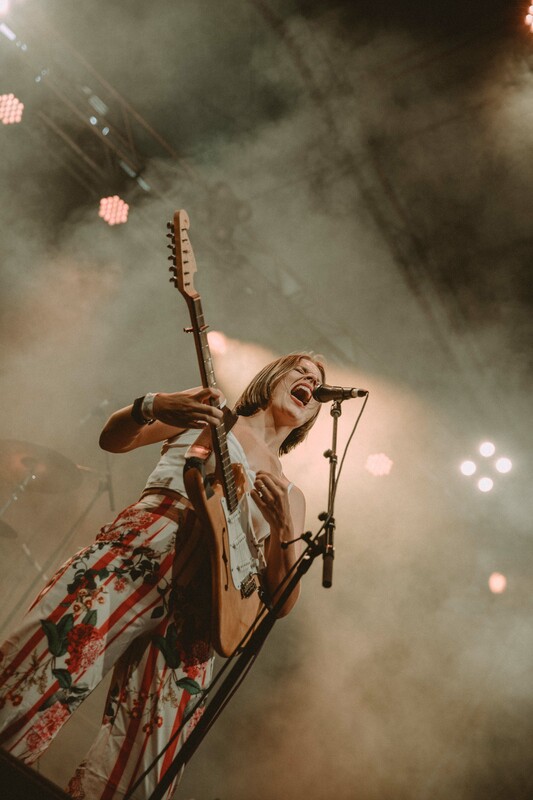 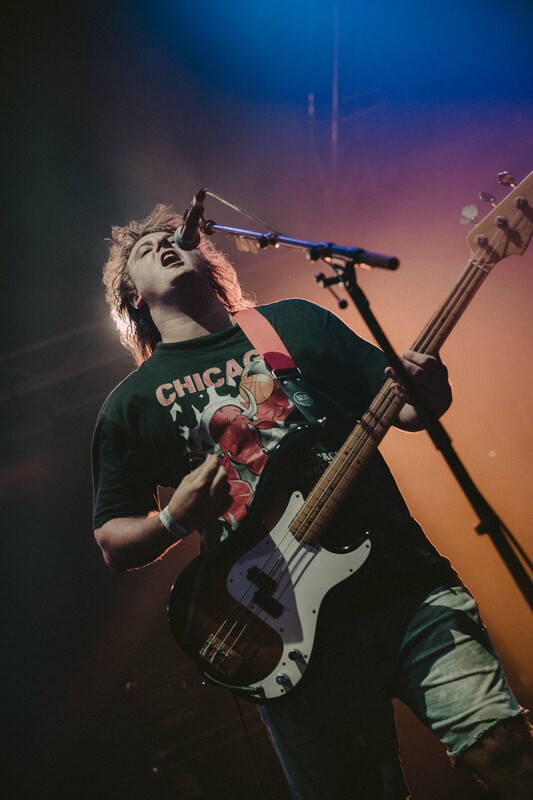 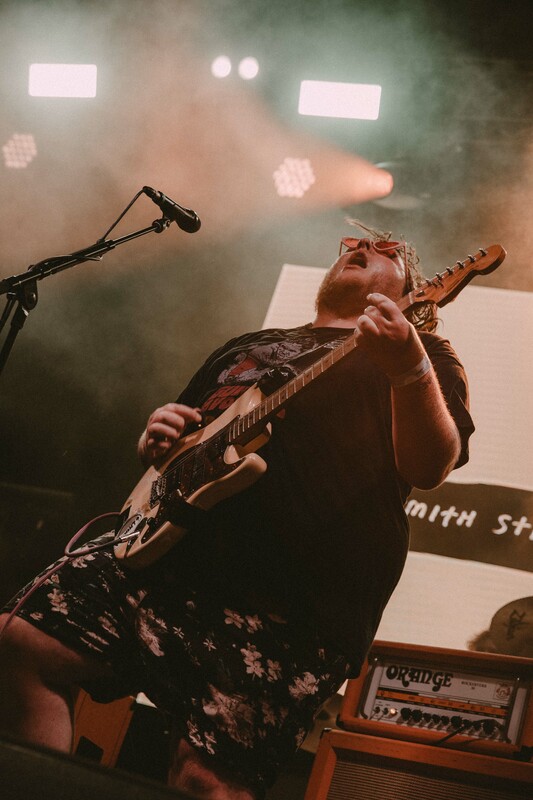 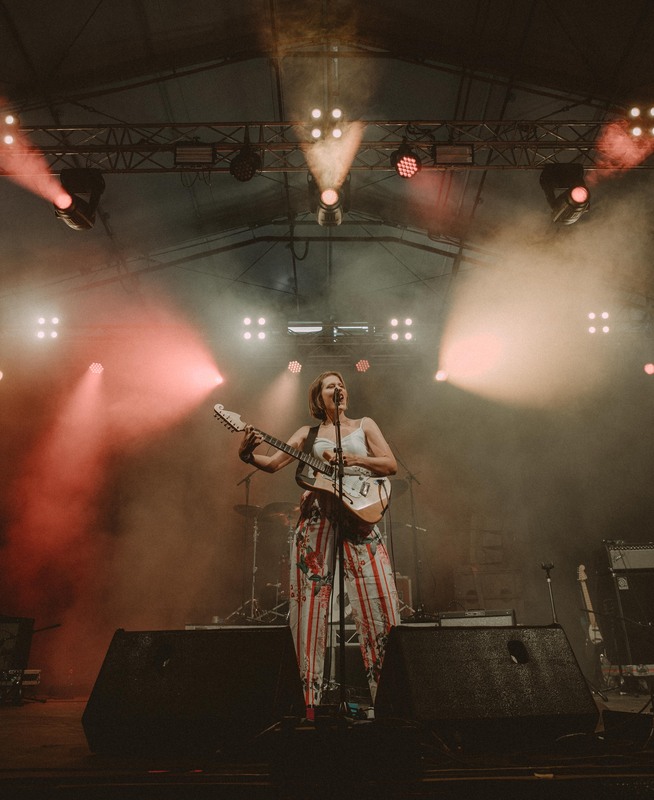 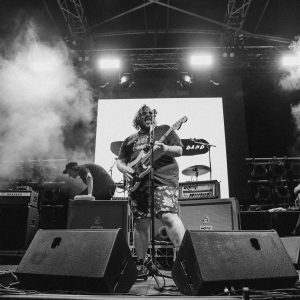 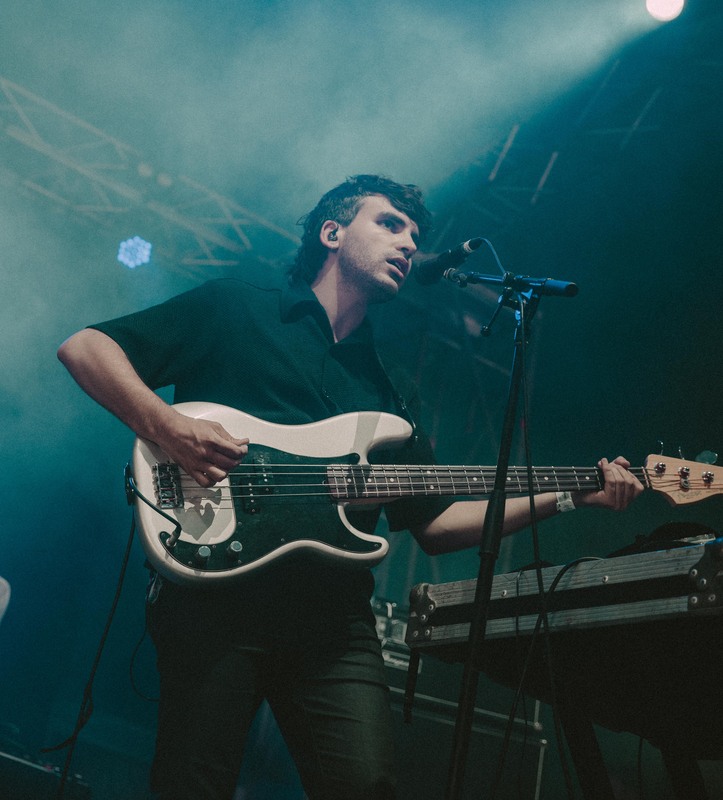 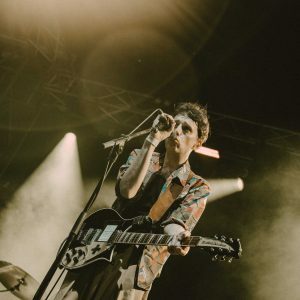 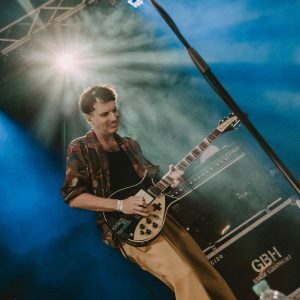 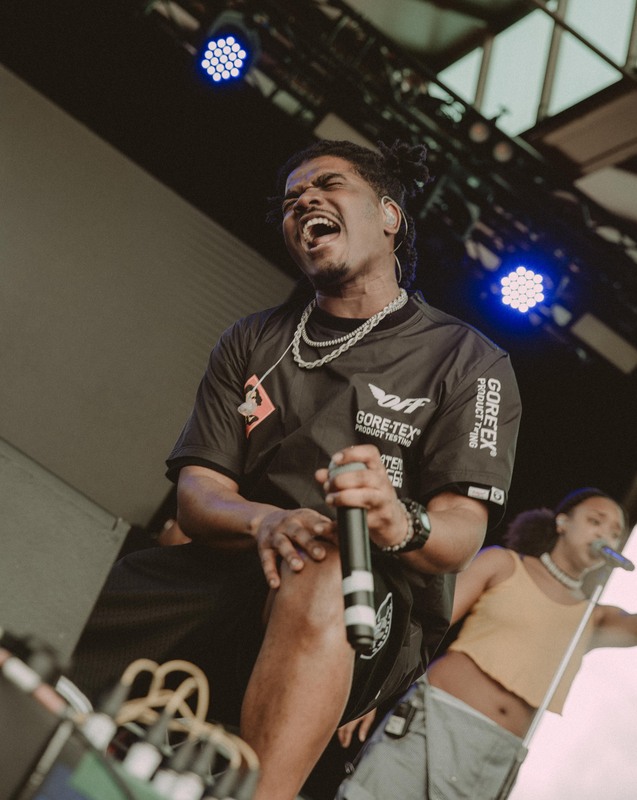 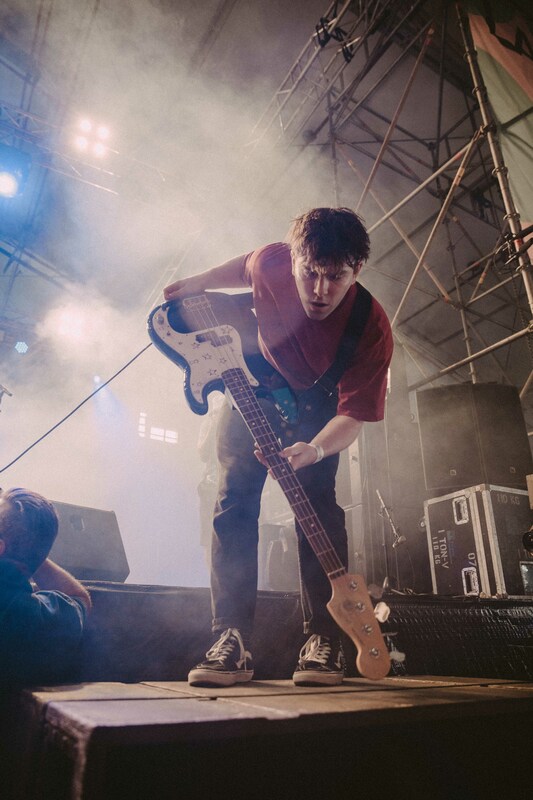 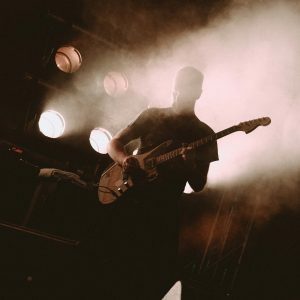 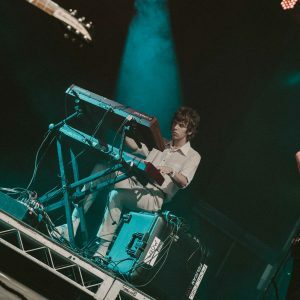 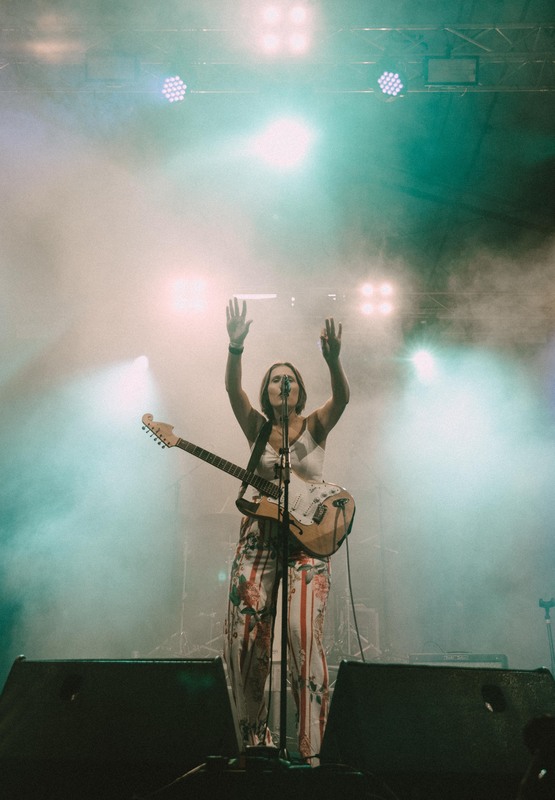 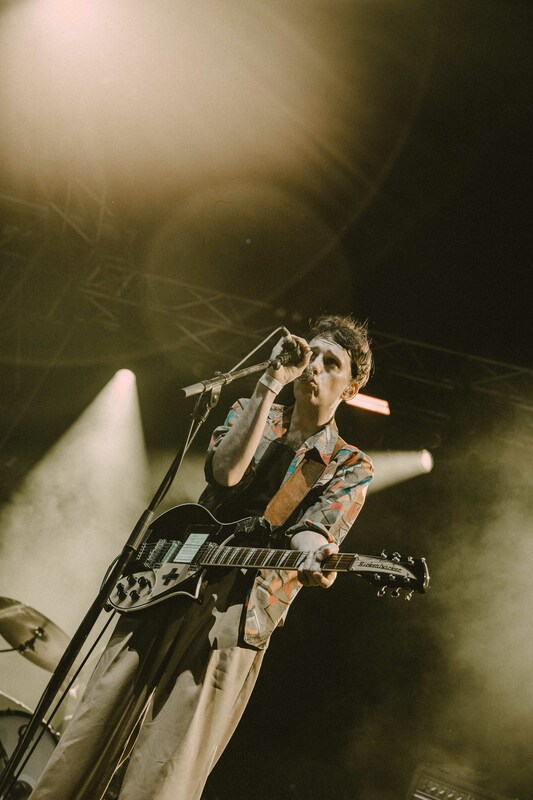 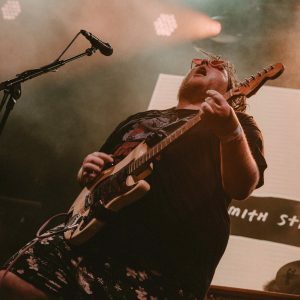 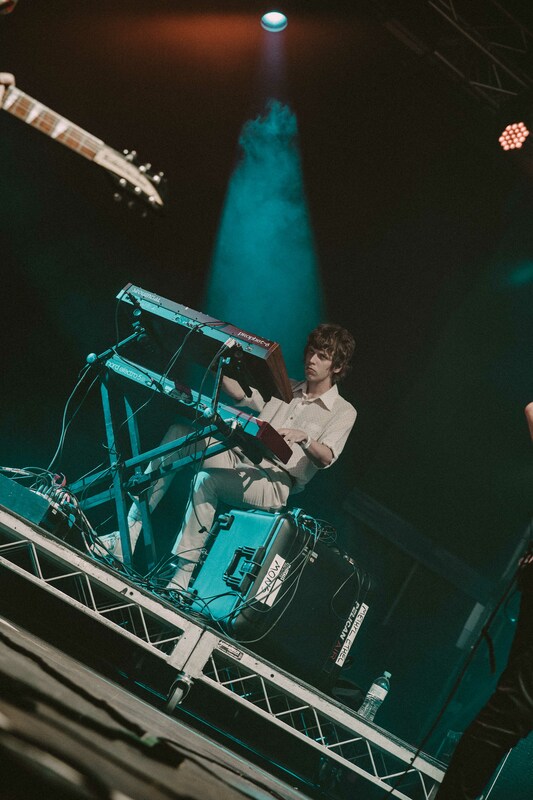 There was so much talent to chose from so we carefully plotted our course and headed for Perth band Methyl Ethyl at the Good, Better, Best stage (Laneway’s 2019 main stage). 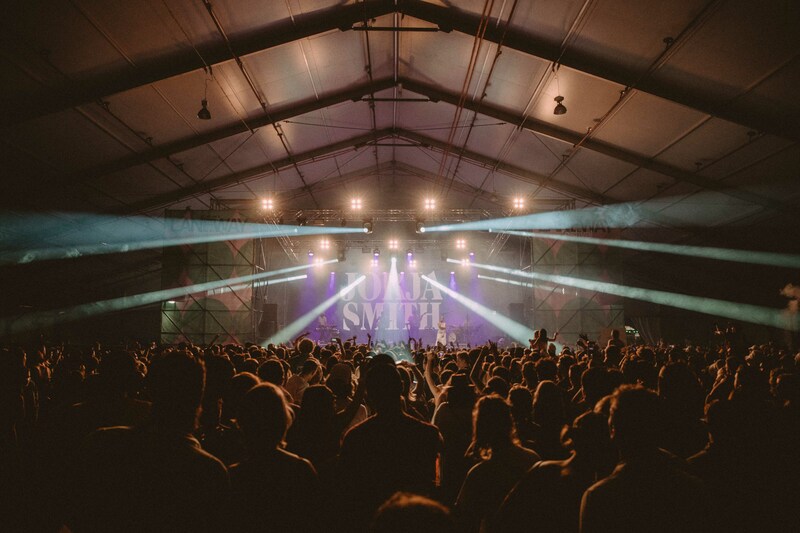 The crowd was suitably massive and their background chatter echoed intensely against the roof of the marquee, creating an echo chamber of excitement which erupted like a civil rights movement when Methyl Ethyl entered the stage. 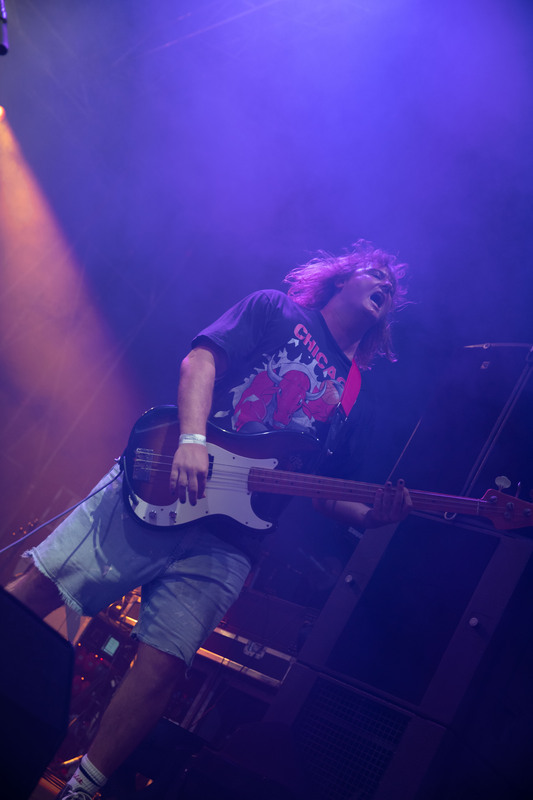 They played popular songs such as Ubu and Twilight Driving and acted as an appropriate primer for the day’s events. 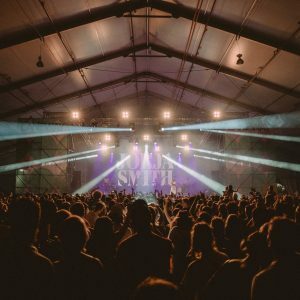 From Methyl Ethyl, we headed for a change of pace and a groove down at the Future Classic stage. 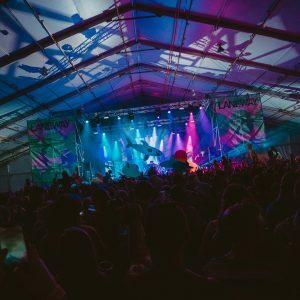 DJDS were unfamiliar to us, however Future Classic’s reputation held us in confidence that we were in for a good time. 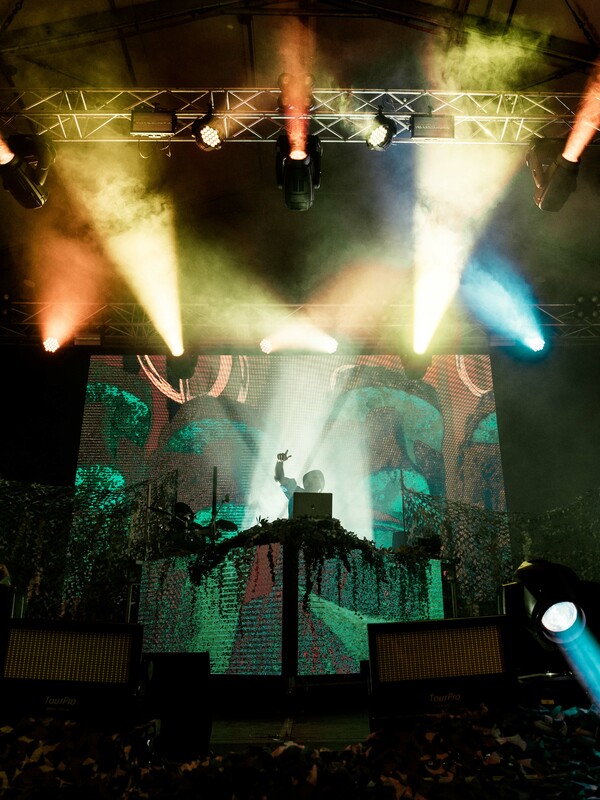 DJDS are what you would expect from the cream of the crop of tastemaker DJ’s. 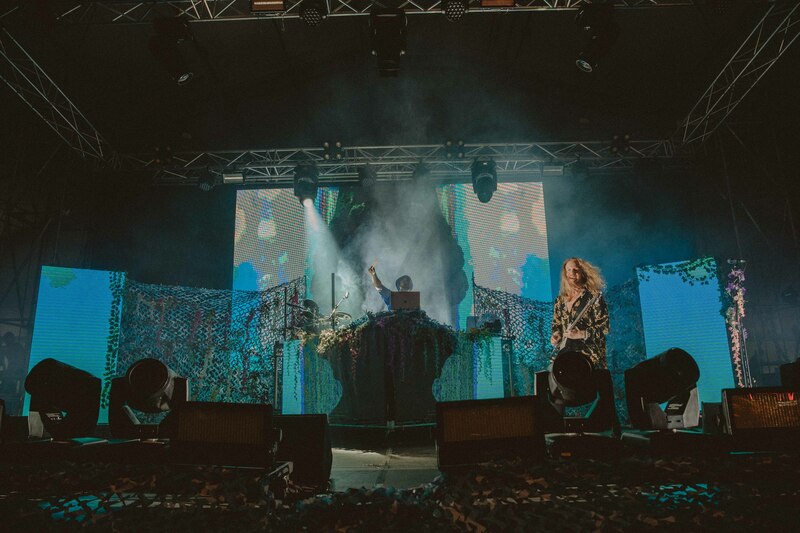 Although famously recognised for their track Why Don’t You Come On, they are fantastically talented DJ’s and know how to read a crowd and play to their settings. 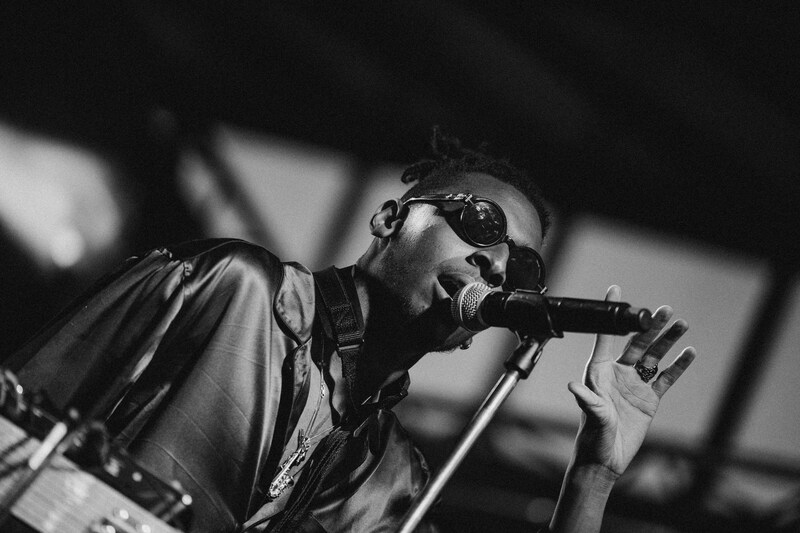 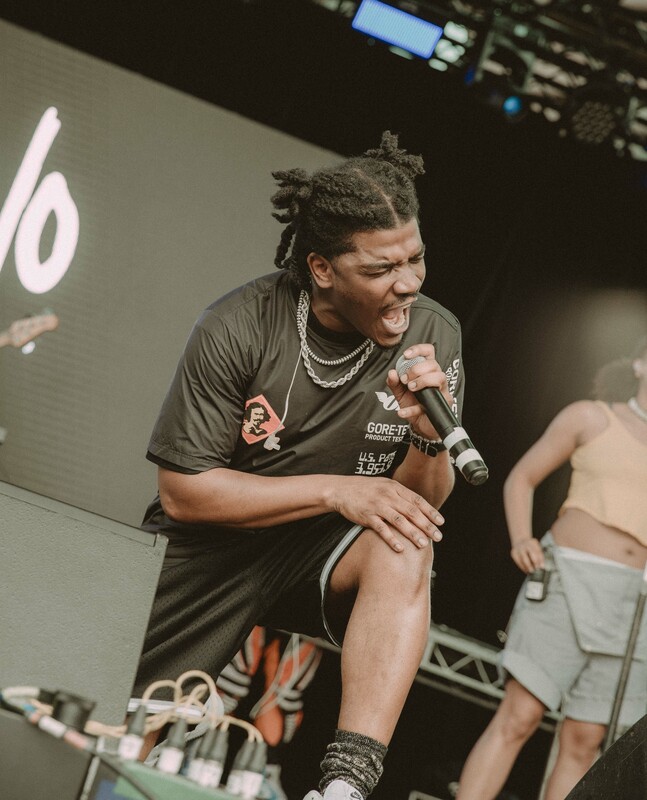 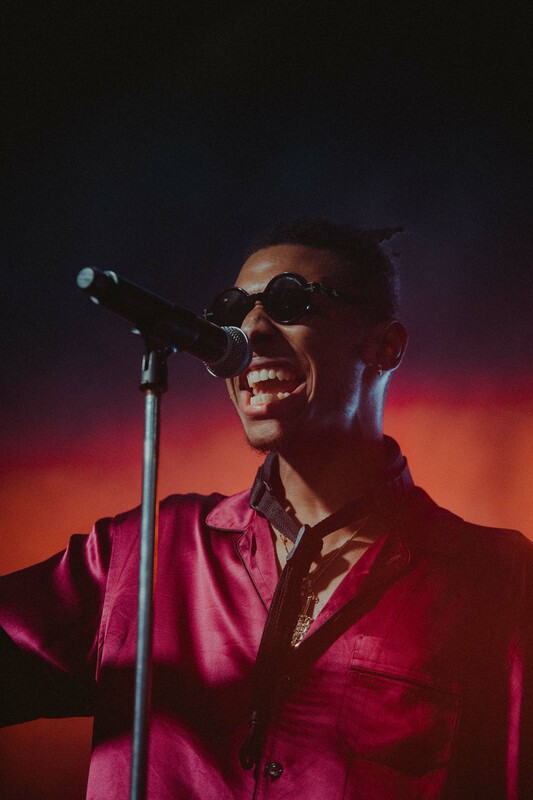 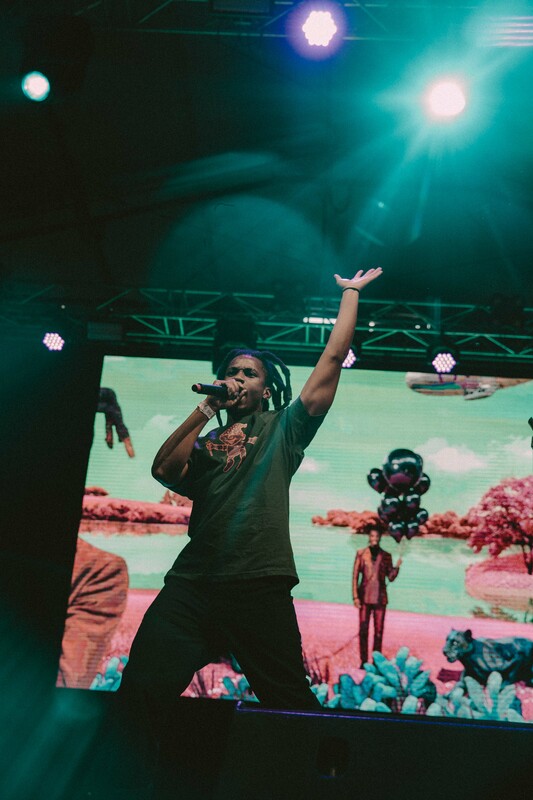 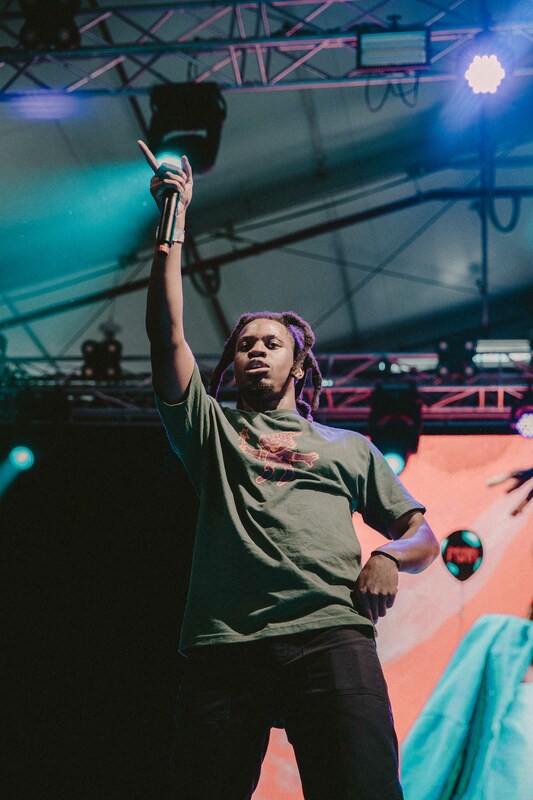 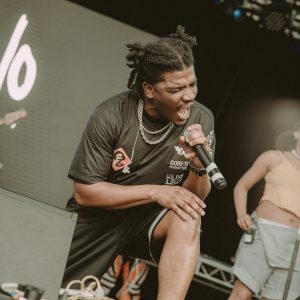 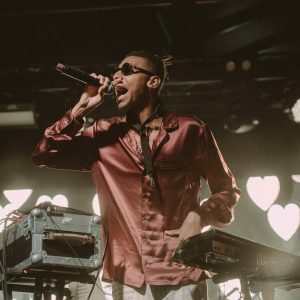 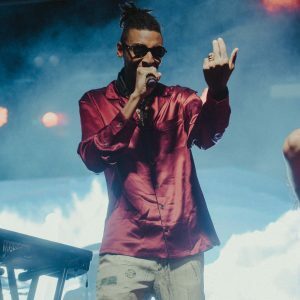 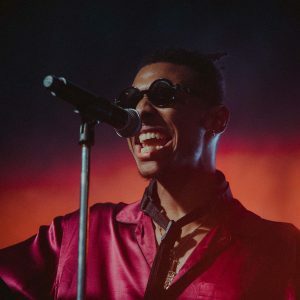 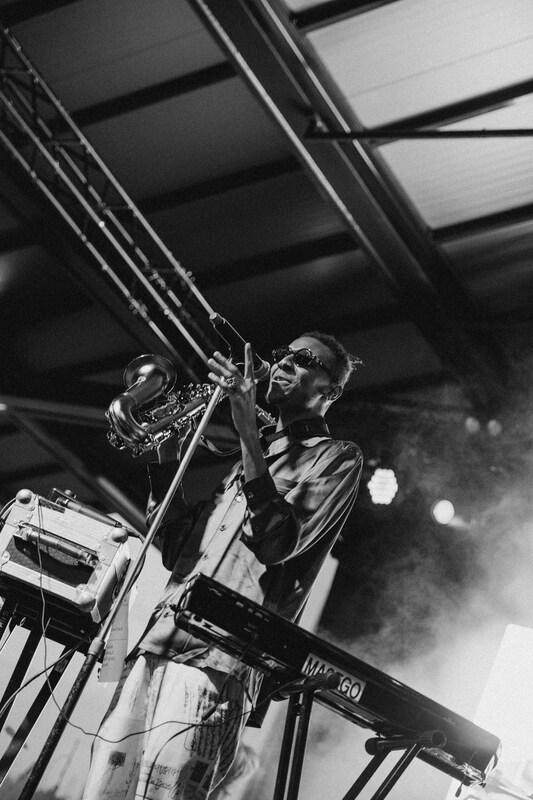 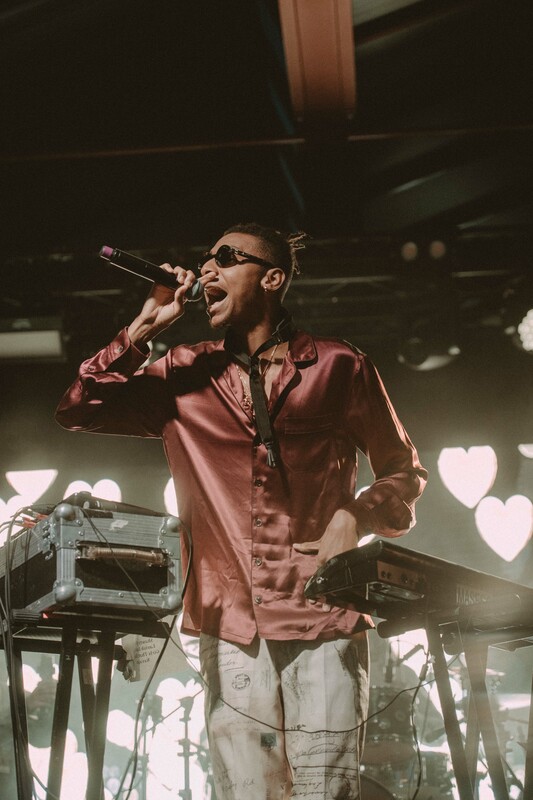 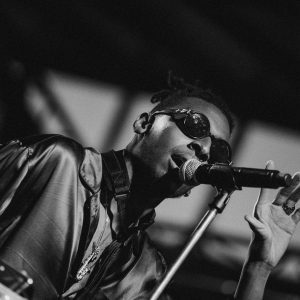 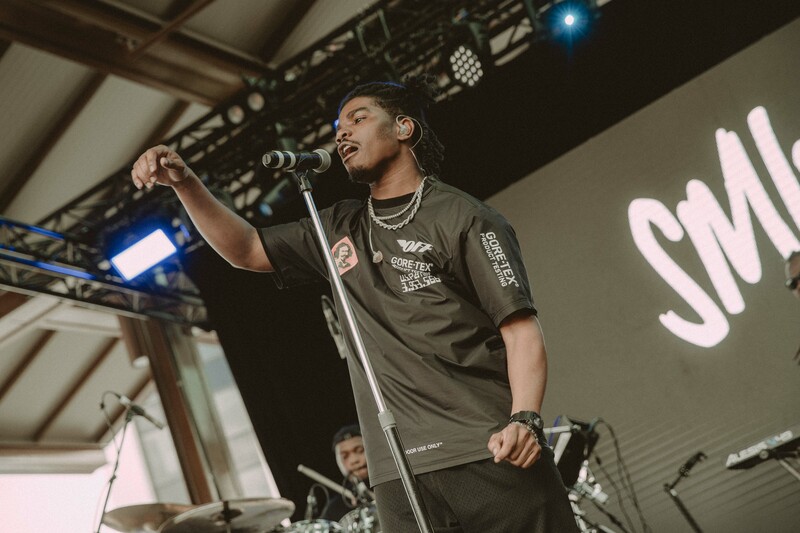 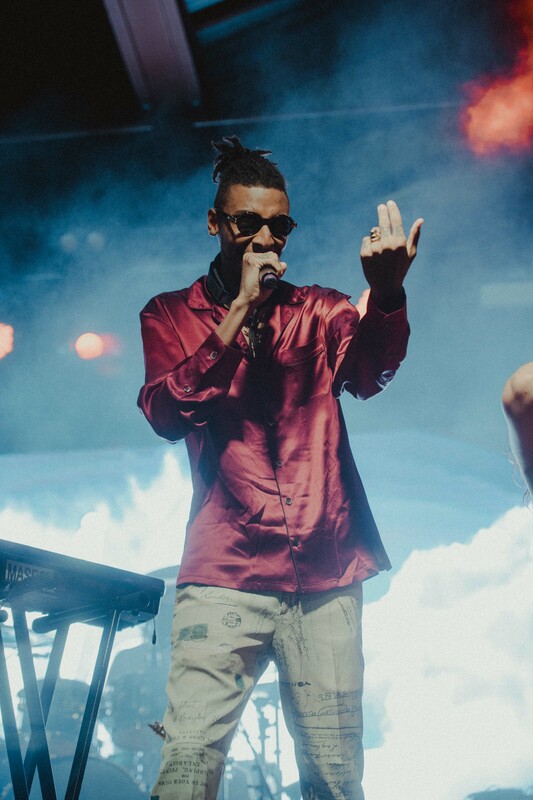 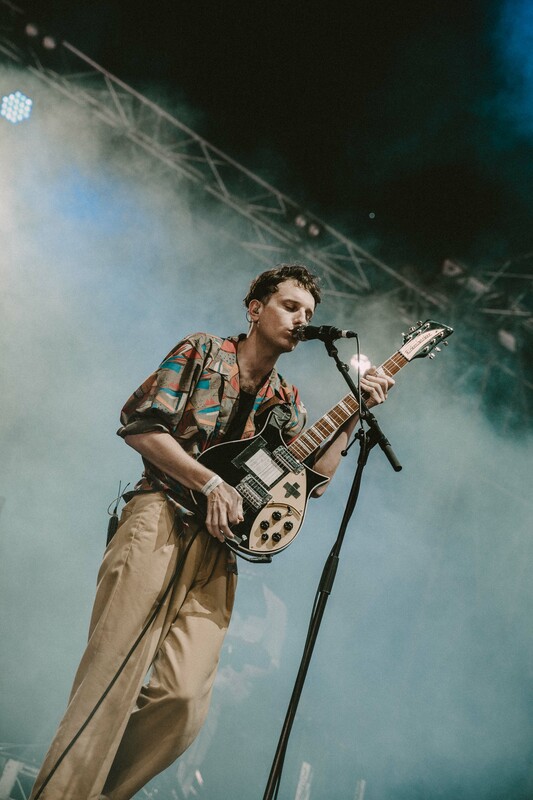 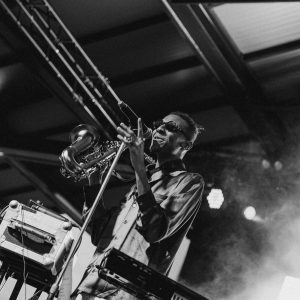 Thankfully, a little worn out from 45-minutes of intense knee bopping, we didn’t need to rush off to another stage as Masego took to the Future Classic stage and opened with his relaxing, funky and heart-felt fan favourite, Tadow. 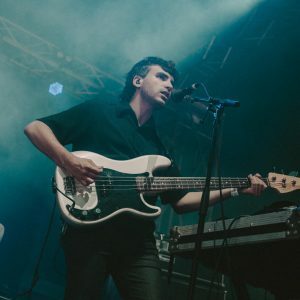 The man is so multi-talented, playing on a sax, singing with his incredible voice and modifying and layering the whole set through loop stations with a live backing band. 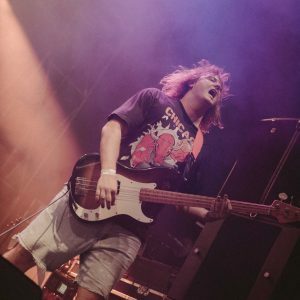 If you have a spare moment, listen to Tadow, I promise it won’t disappoint. 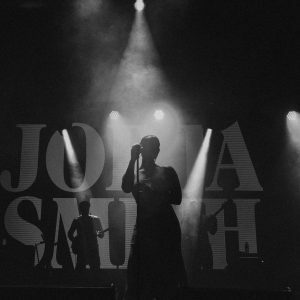 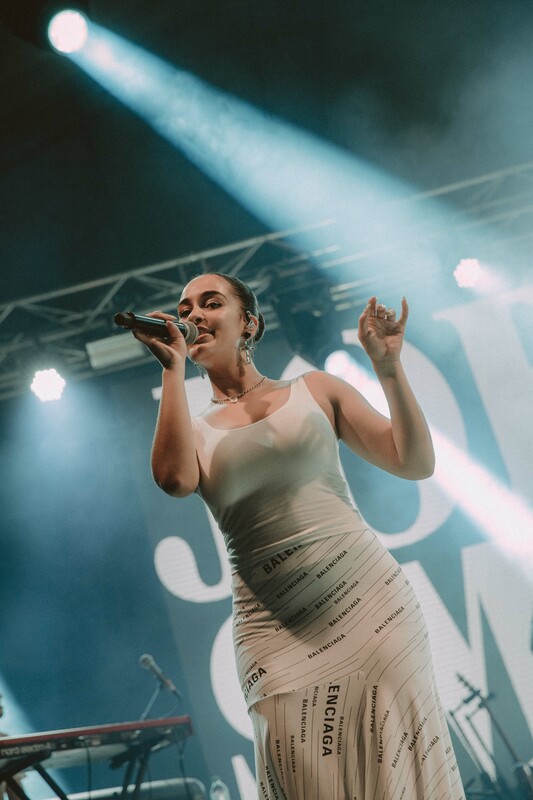 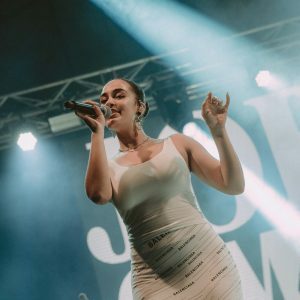 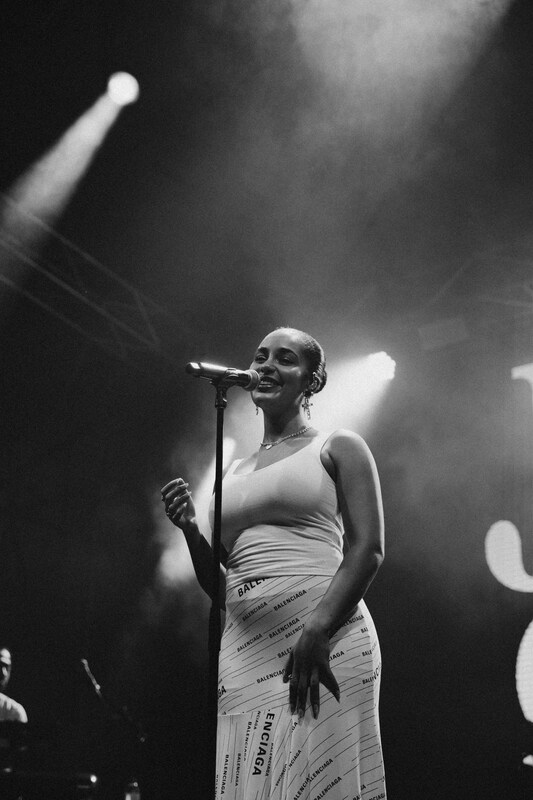 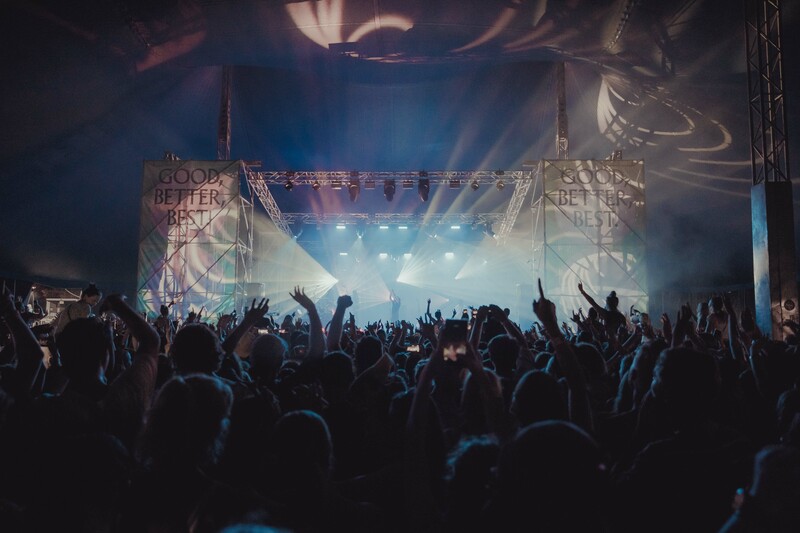 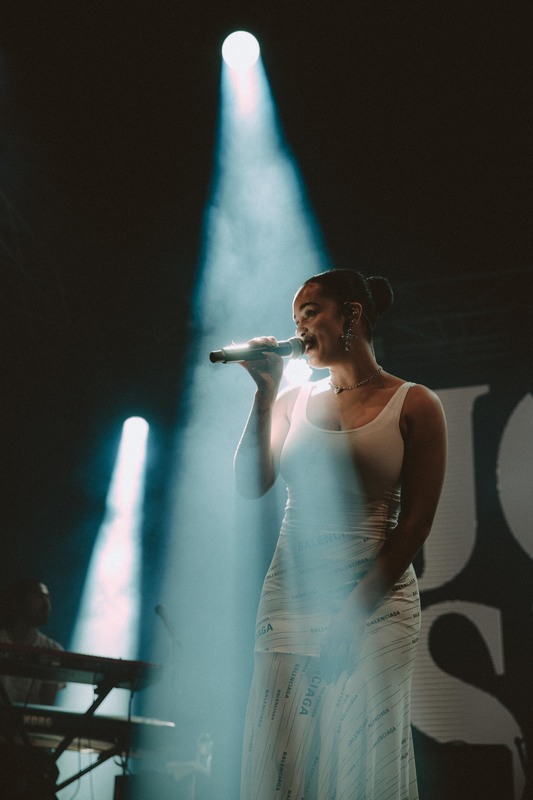 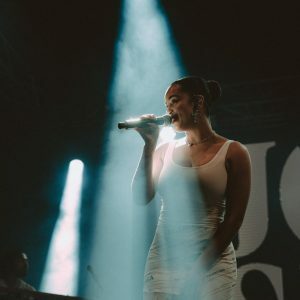 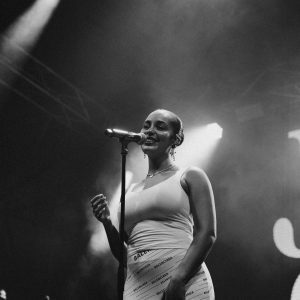 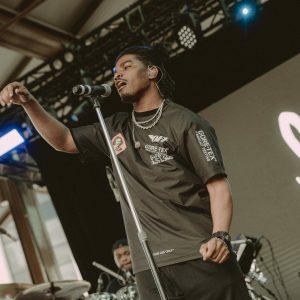 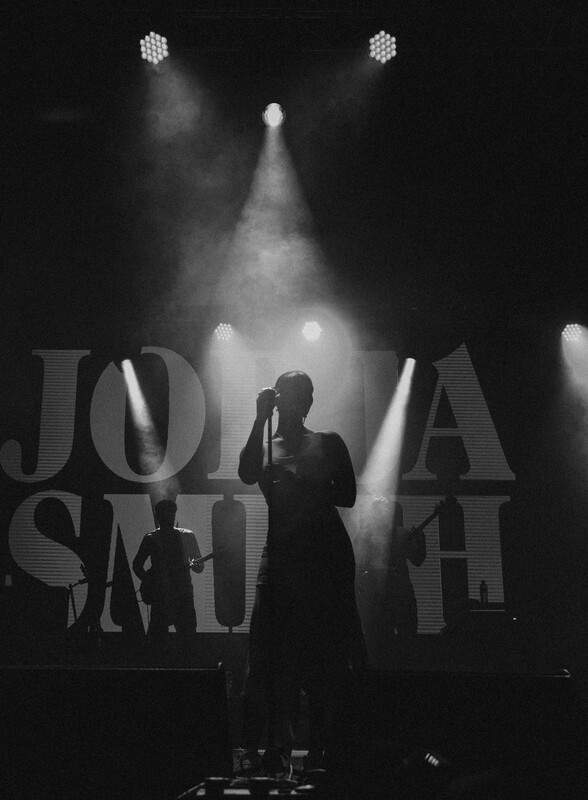 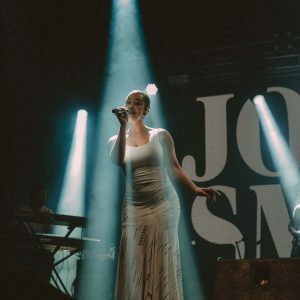 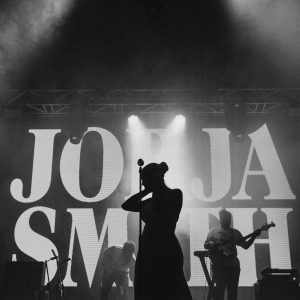 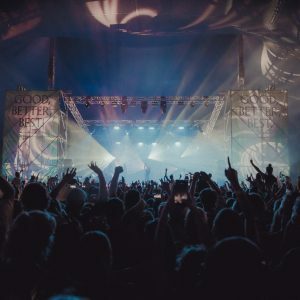 After a short break to recharge the batteries on festival food, which is seeing a considerable improvement given how lucrative and competitive food stalls are these days, we jockeyed for a position in the Never Let It Rest Stage to see Jorja Smith. 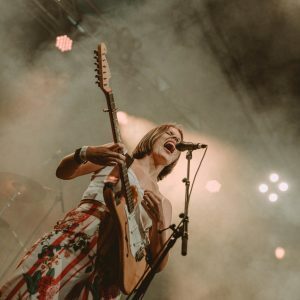 She was incredible! 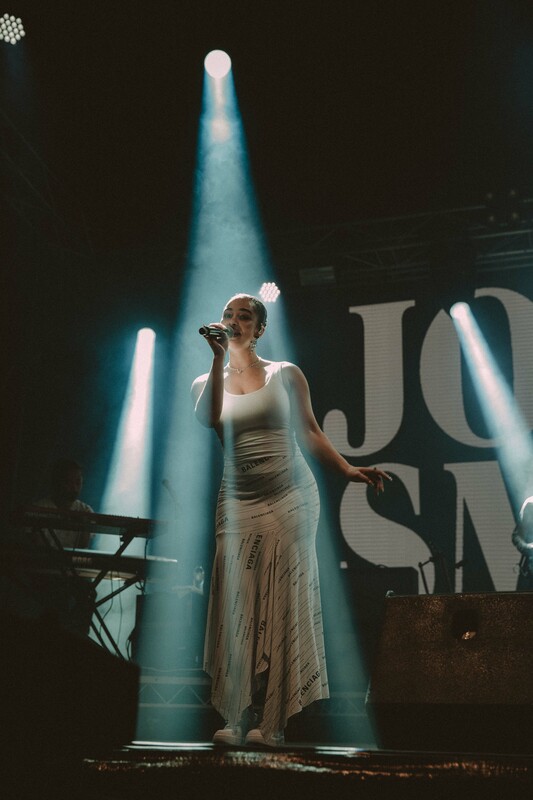 A seductress with the voice of classically trained jazz musician, she drew so much energy from her audience with her powerful presence and full backing band. 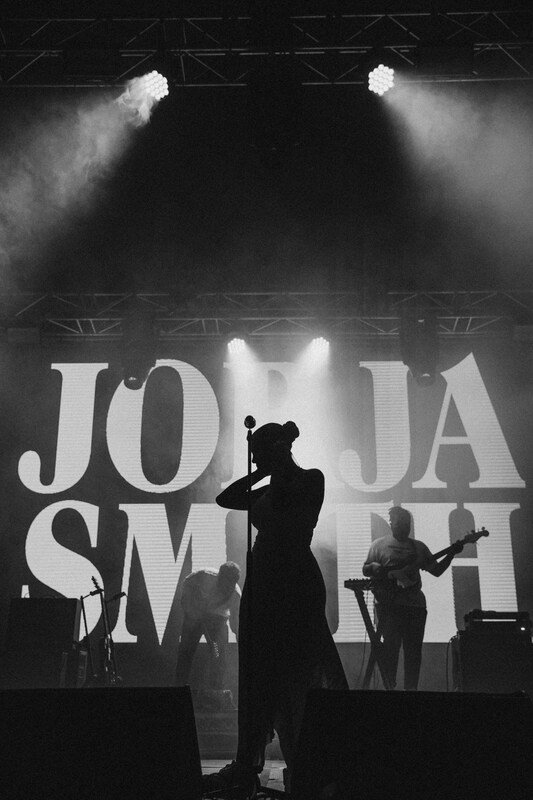 Although I felt she is promoted as a pop singer, live in concert she is modest and awe inspiring. 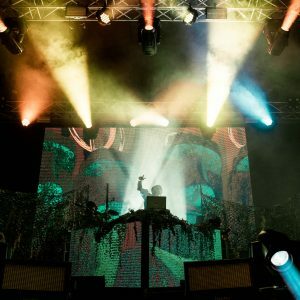 The songs, Blue Lights and I Am, combined with a fantastic light show, really transported us into her realm and I was able to share a truly romantic moment with my partner. 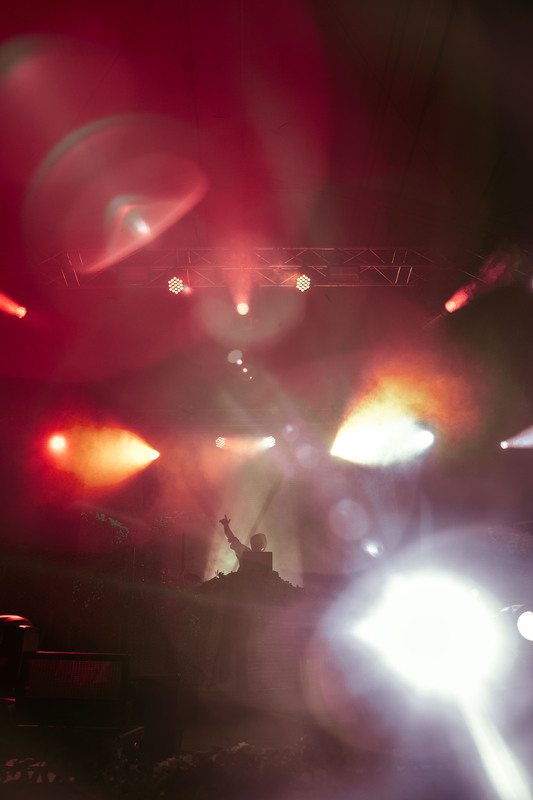 The end of the night for us was massive, engaging with Jon Hopkins progressive and visually intense set. 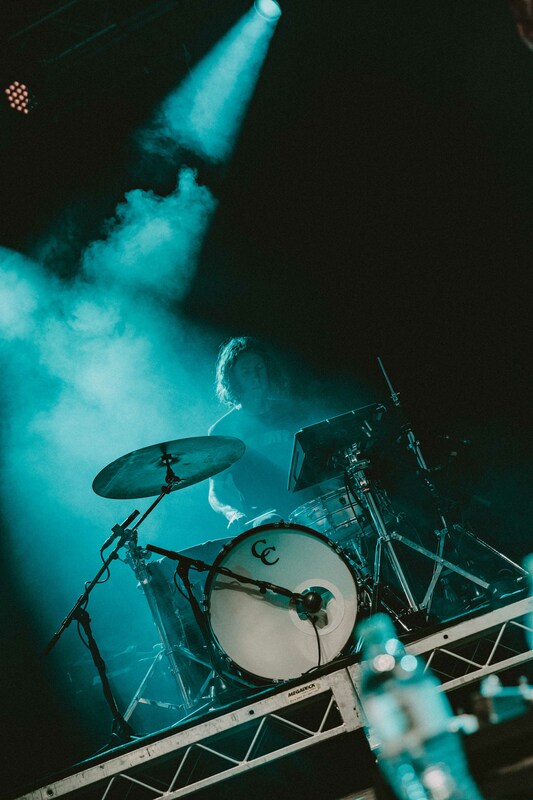 The songs were so seamlessly mixed together with rises and falls in energy that it felt like one big roller coaster of euphoria and intergalactic percussion. 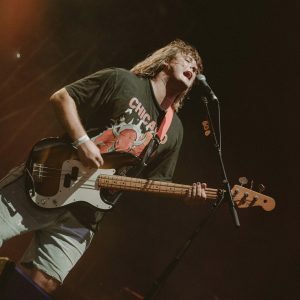 This man is on the top of his game. 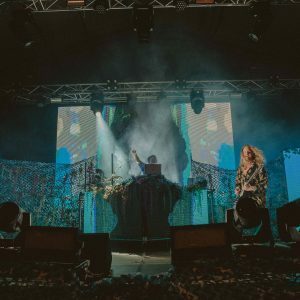 Finally, we headed to our most anticipated act of the day, What So Not. 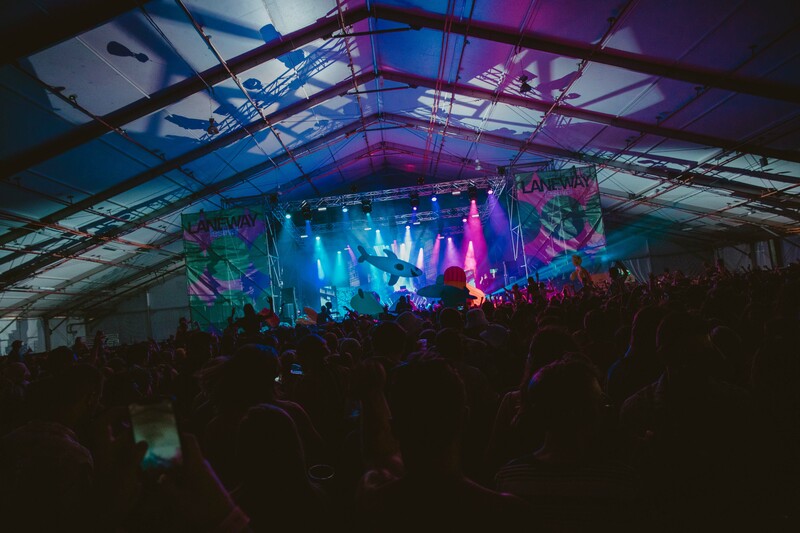 This was a completely packed marquee—inflatable pool toys facilitating a game of volley ball above the heads of the audience and banger after banger after banger. 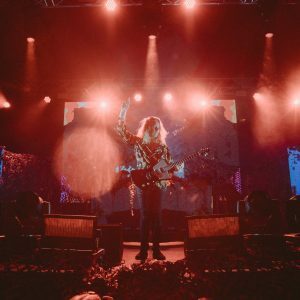 Highlights included Boogie Wit Da Hoodie stepping up to be his hype man and Daniel Johns surprising the audience by coming out on stage in the second song and shredding his guitar to Innerbloom. 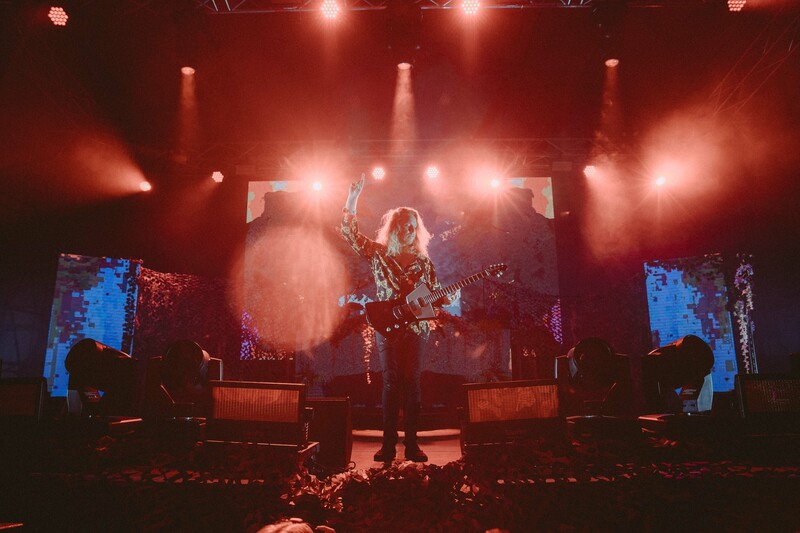 The light show and confetti augmented the sense of grandeur and it was a proud moment to see such a well established Australian act be so bloody awesome as a headliner at Laneway 2019. 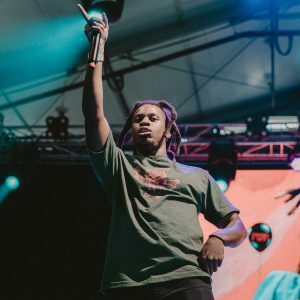 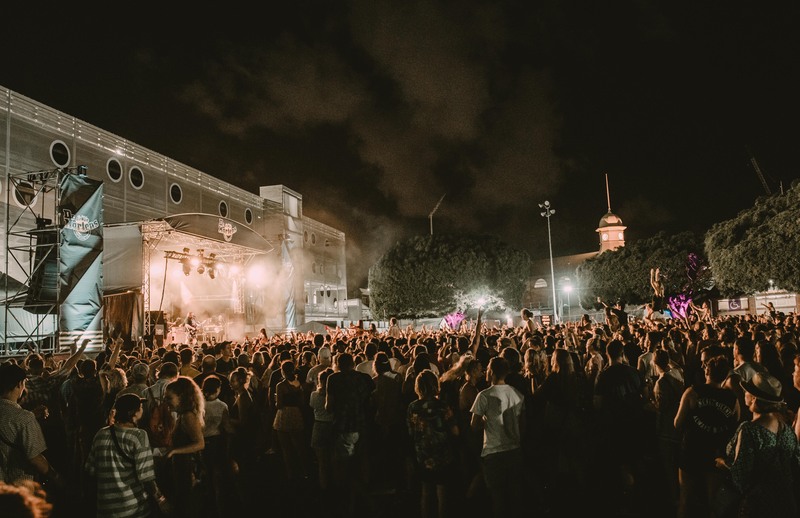 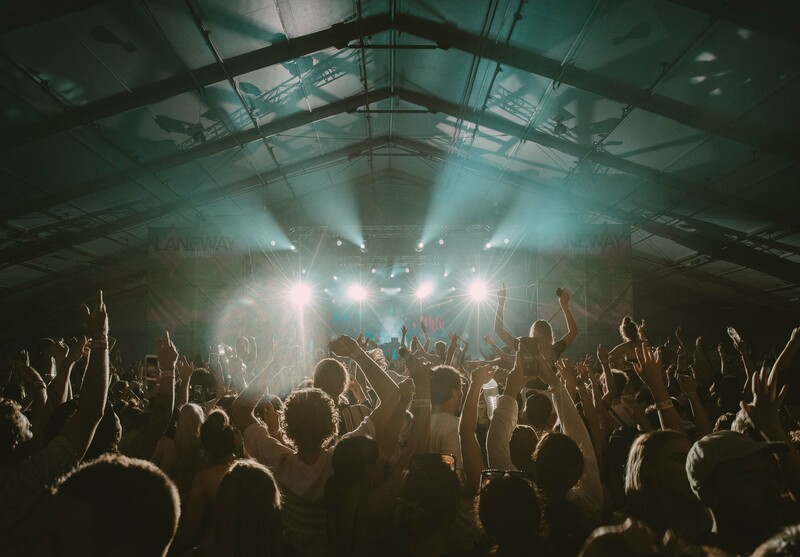 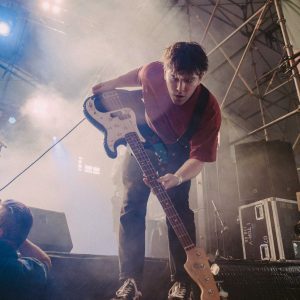 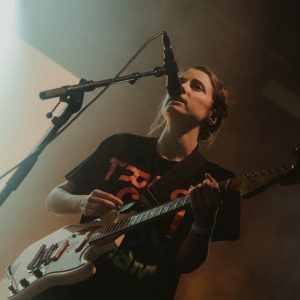 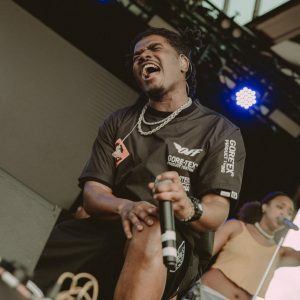 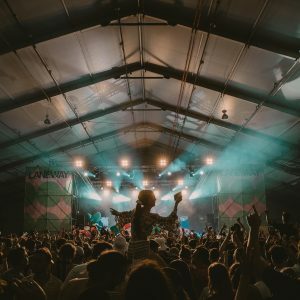 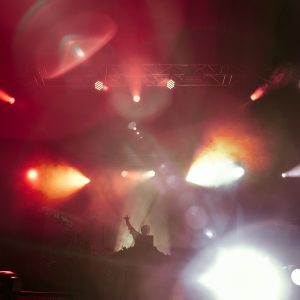 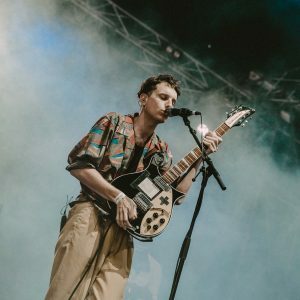 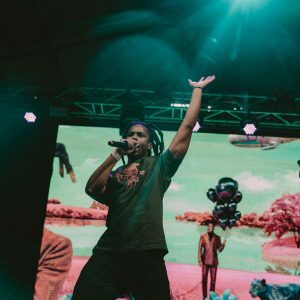 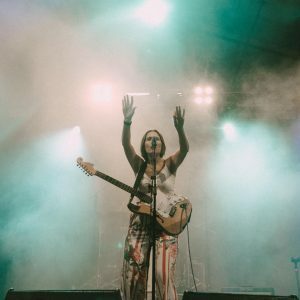 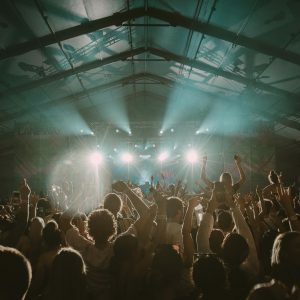 14 years in, Laneway has evolved to provide a more mainstream offering for festival goers but has retained it’s core values promoting an impressive roster of Australian acts (53%) and supporting the movement to ensure a balanced mix of both male (64%) and female (34%) artists at their events. 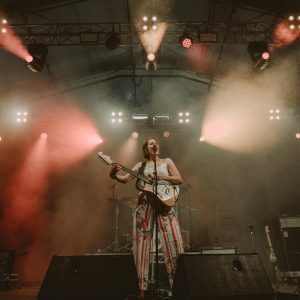 I haven’t missed a Laneway Festival in Brisbane for 9 years and there’s good reason for it. 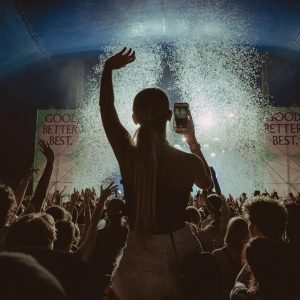 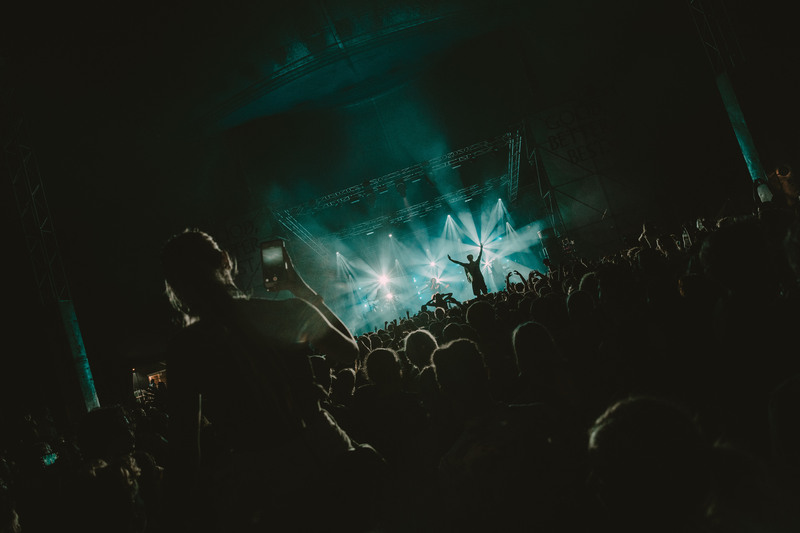 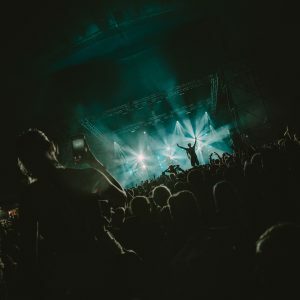 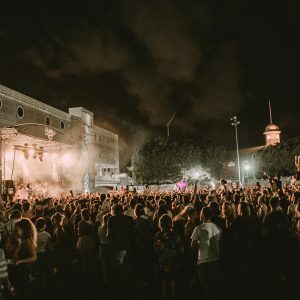 The organisers are acutely aware of great upcoming acts, they actively support the Australian music industry and it’s amazing talent, and they have always had a knack for curating a well balanced, multi-genre festival that can be appreciated by a diverse audience. 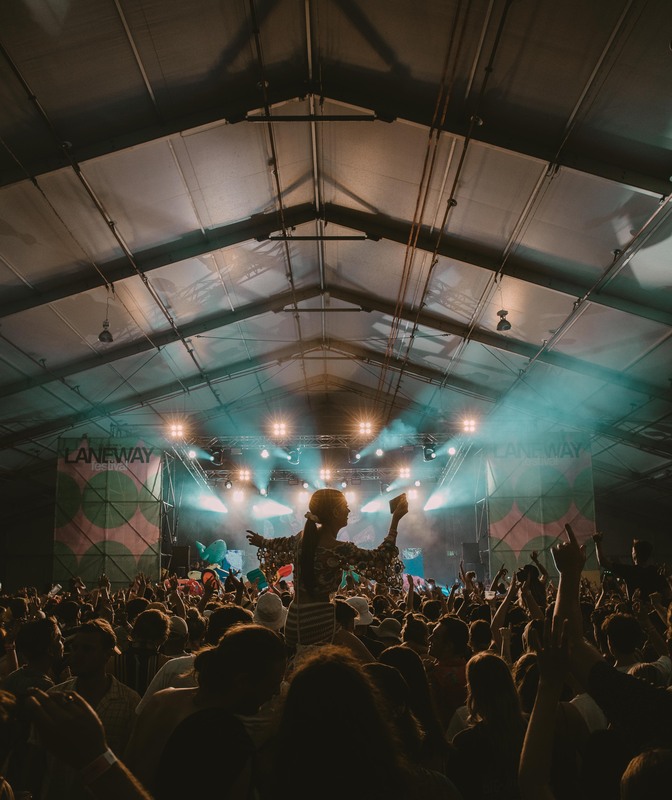 Hats off to them and another successful Laneway Festival circuit.